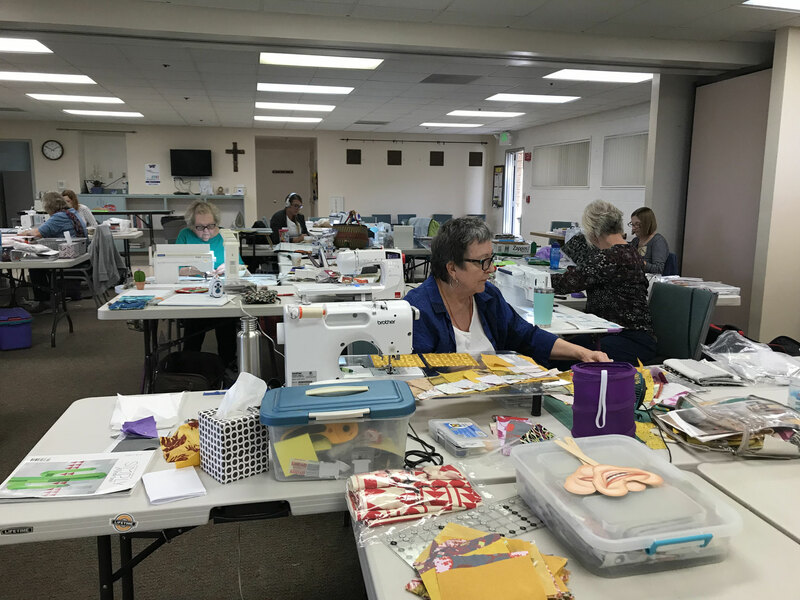 Nineteen members got together for the guild's annual November retreat at Vina de Lestonnac Retreat Center in Temecula. 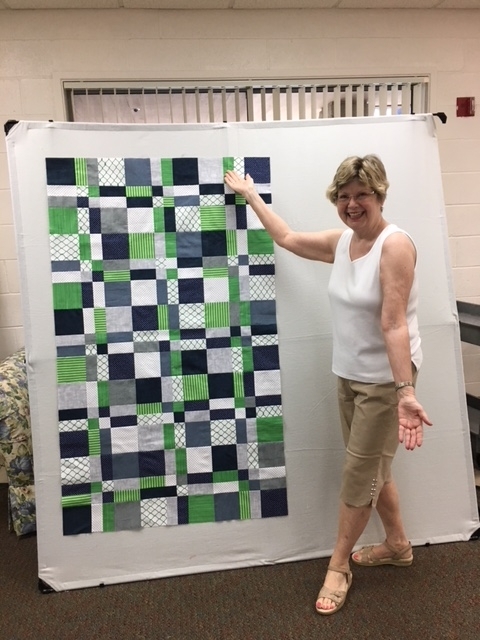 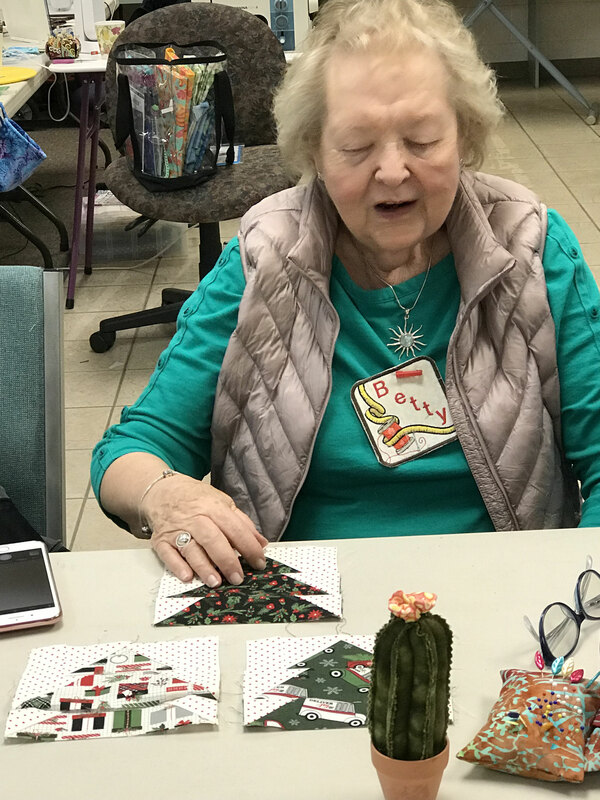 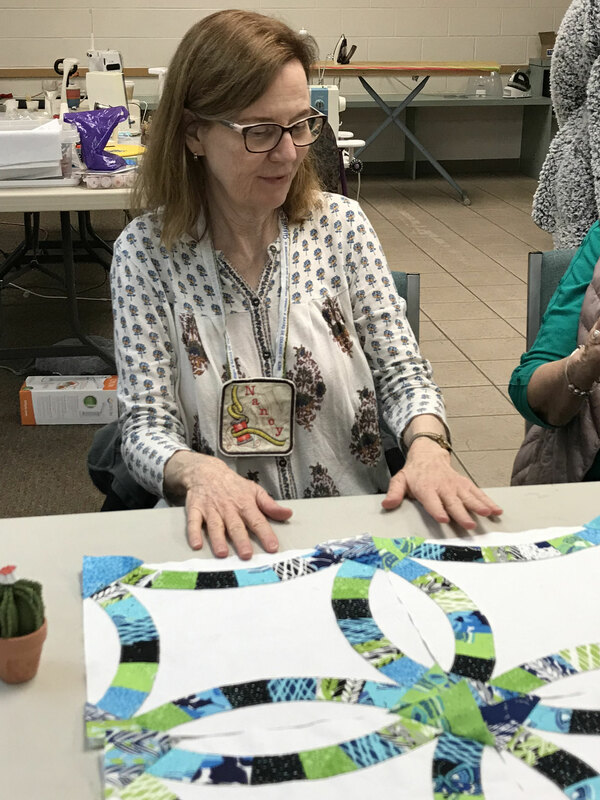 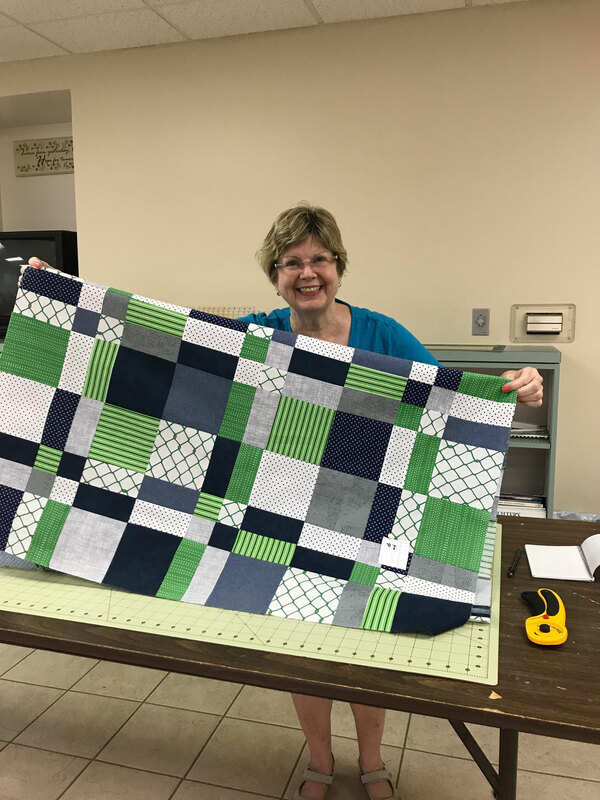 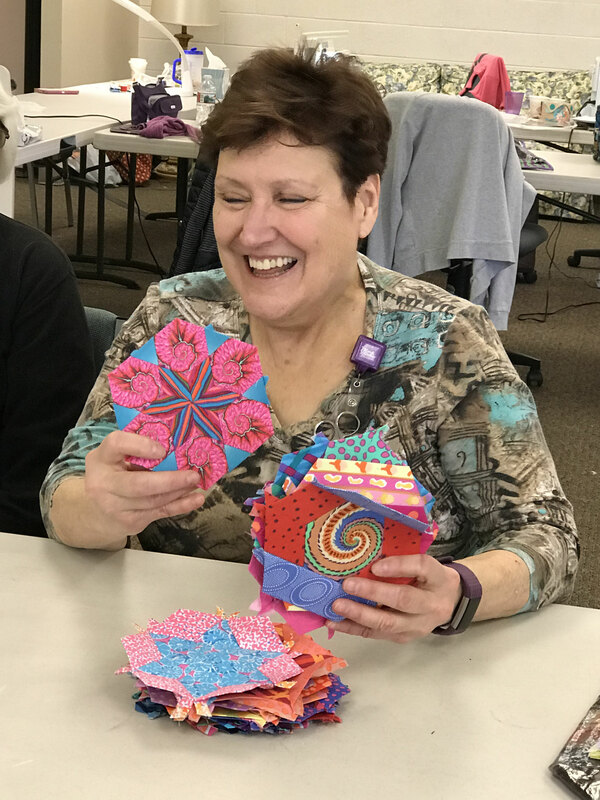 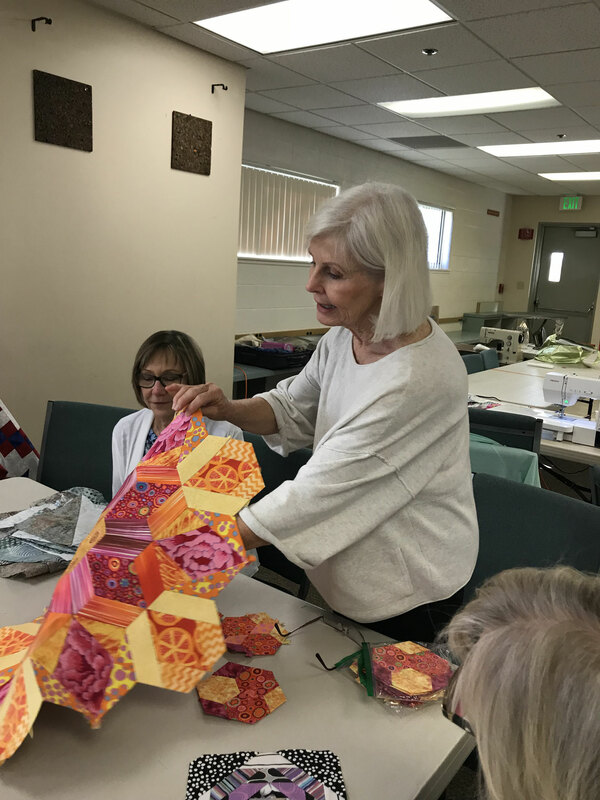 It is a wonderful time to focus on projects, visit with friends and explore the local quilt shops. 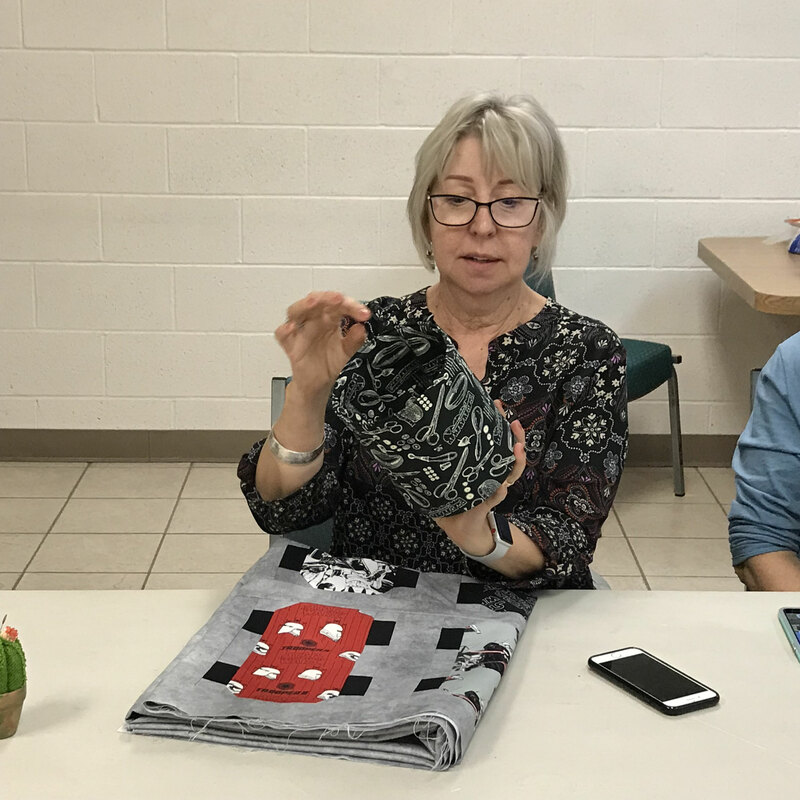 In addition there are games to win -- what else -- fabric and a chance to try some new projects. 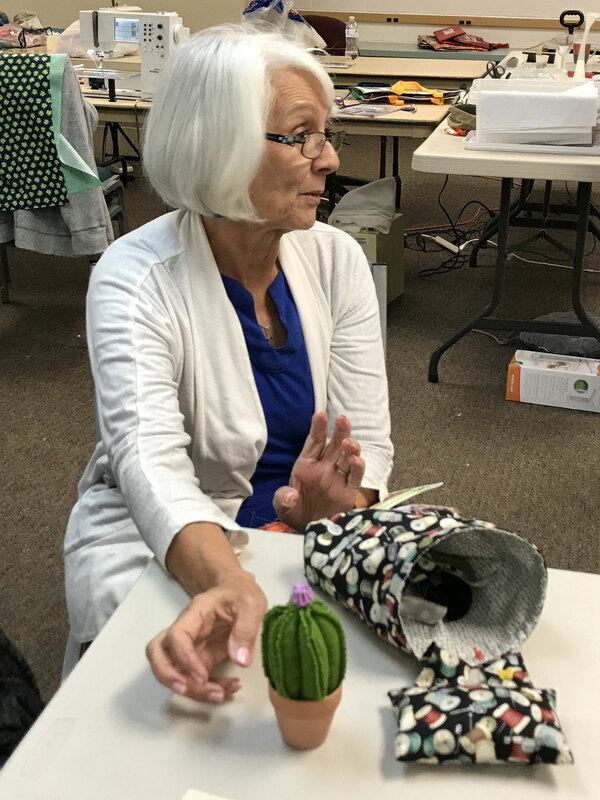 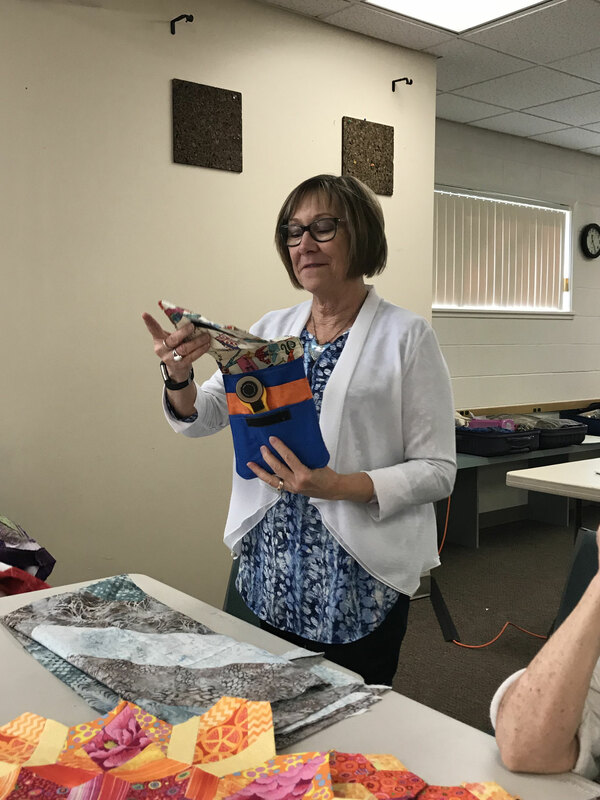 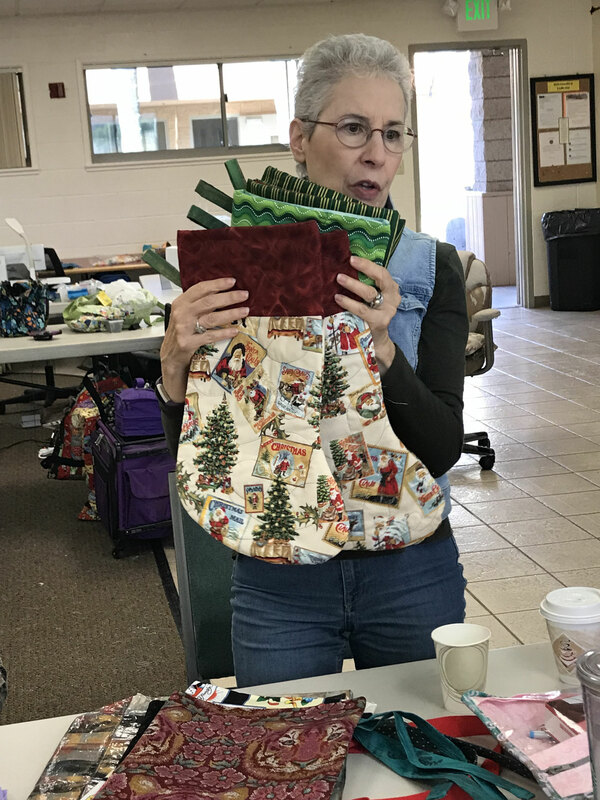 This year Claire Victor demonstrated a wool cactus pincushion and Kathy Dunham demonstrated a thread catcher. 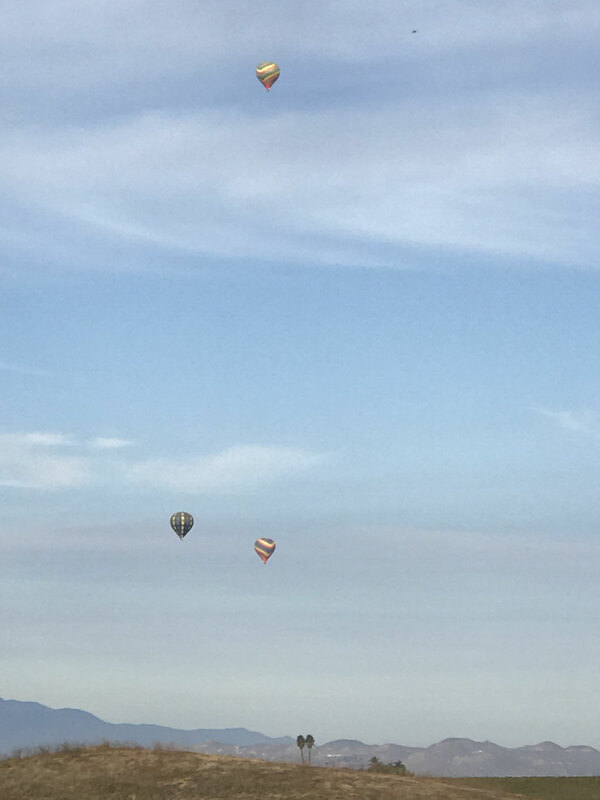 And of course there are the local wineries to visit and the hot air balloons to watch in the mornings. 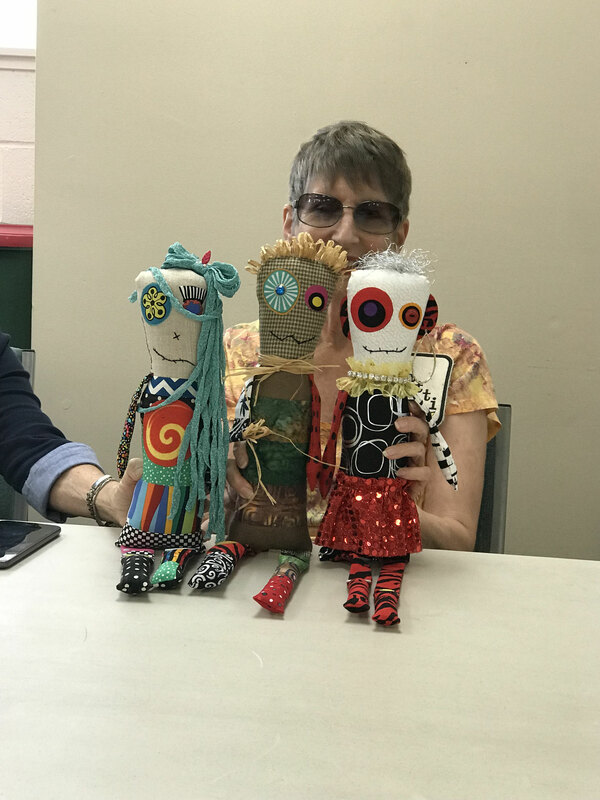 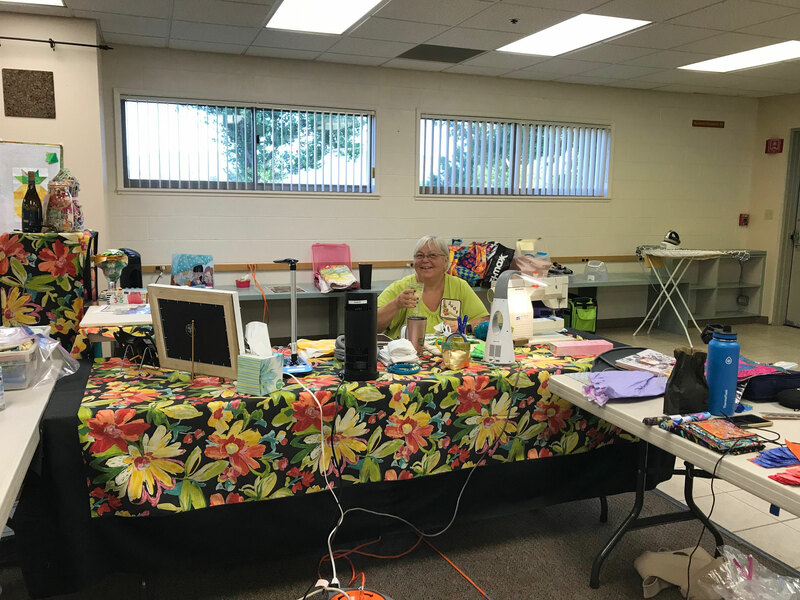 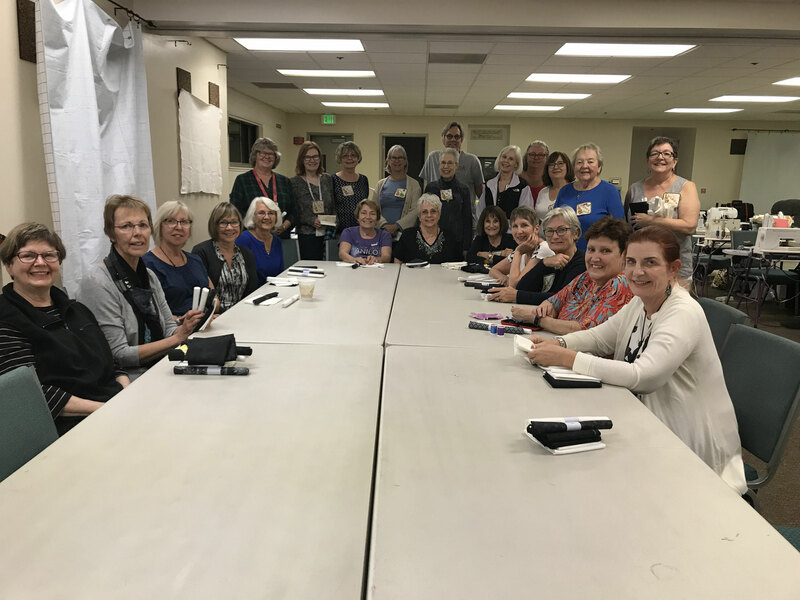 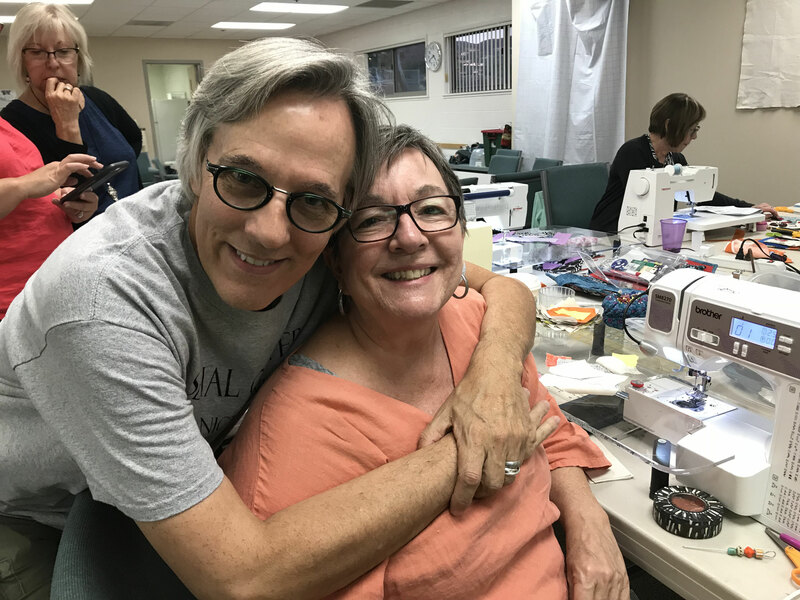 The Modern Quilt Guild of LA were sewing in the room across the way and both guilds got together for a happy hour. 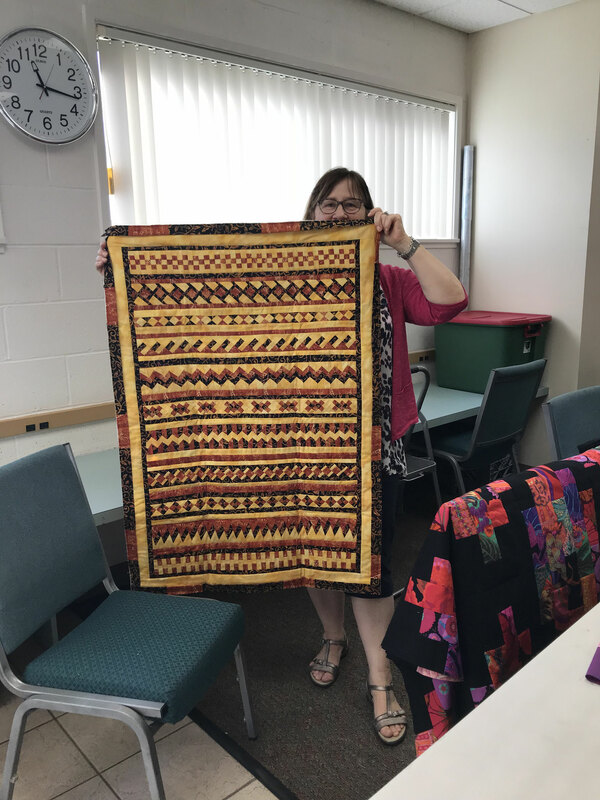 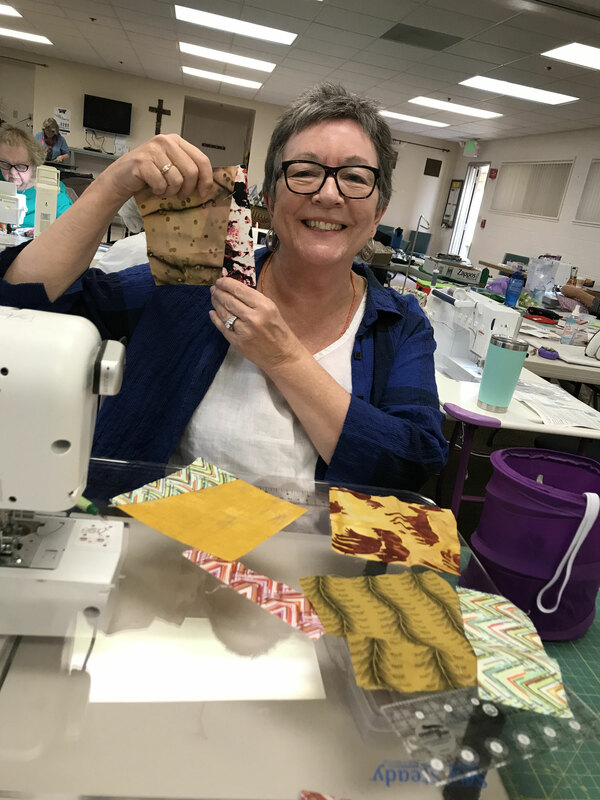 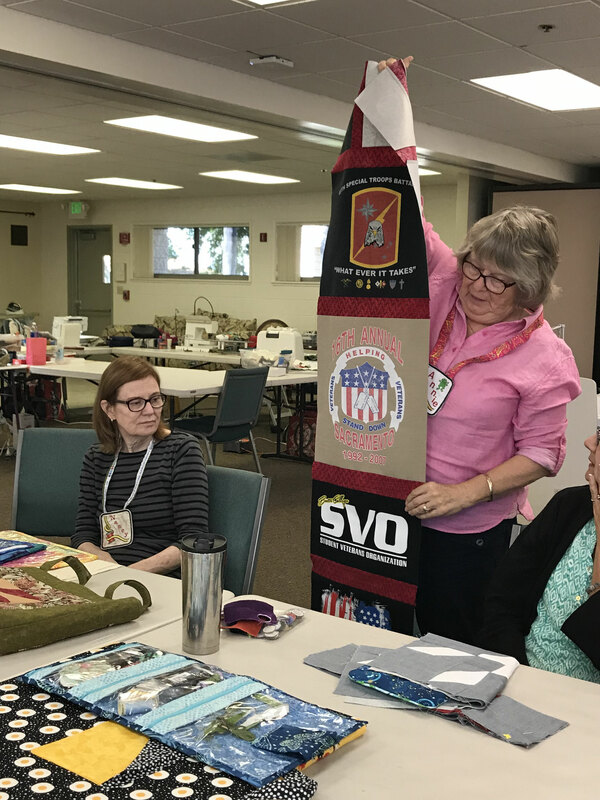 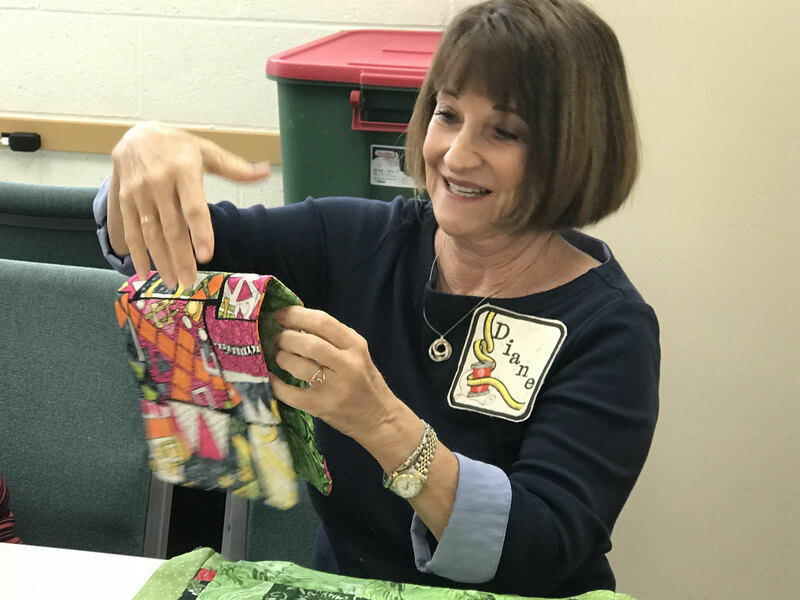 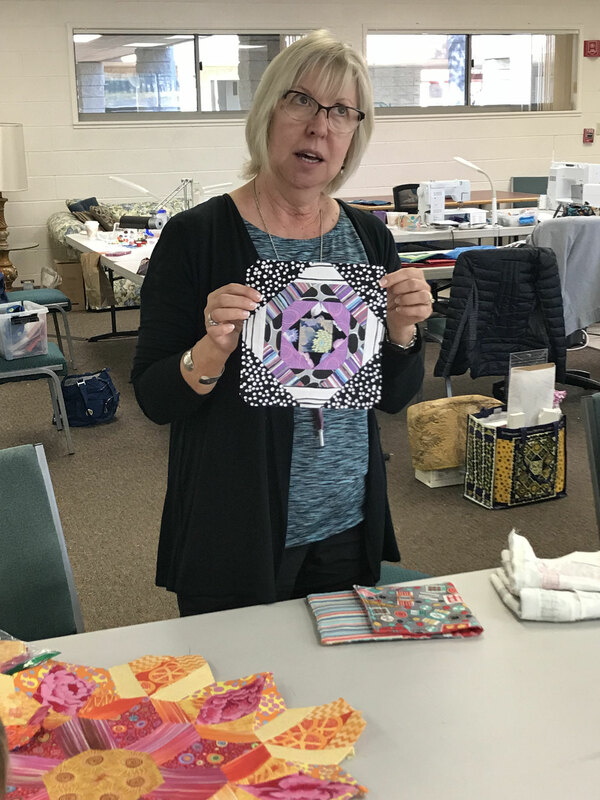 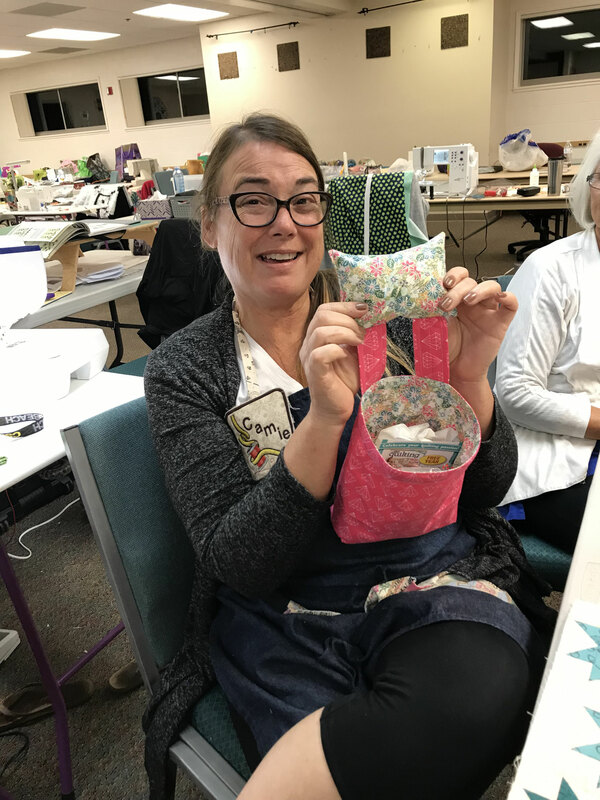 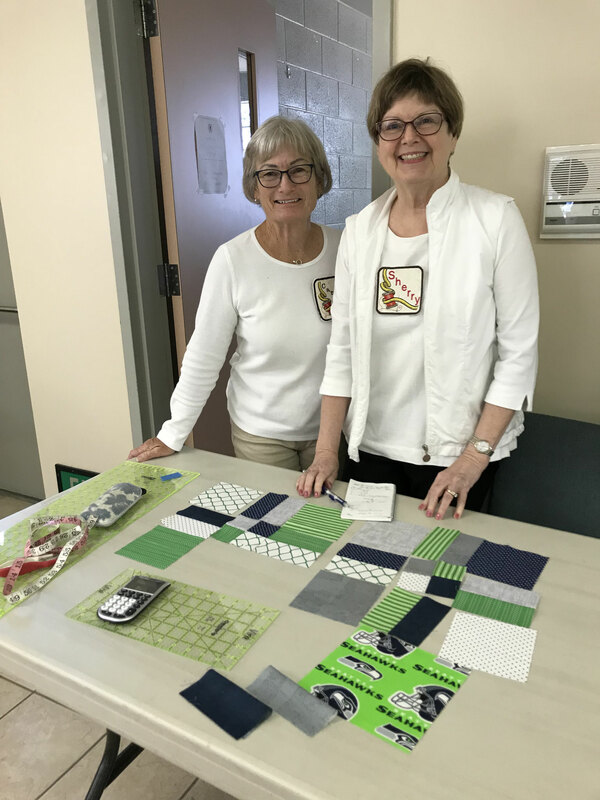 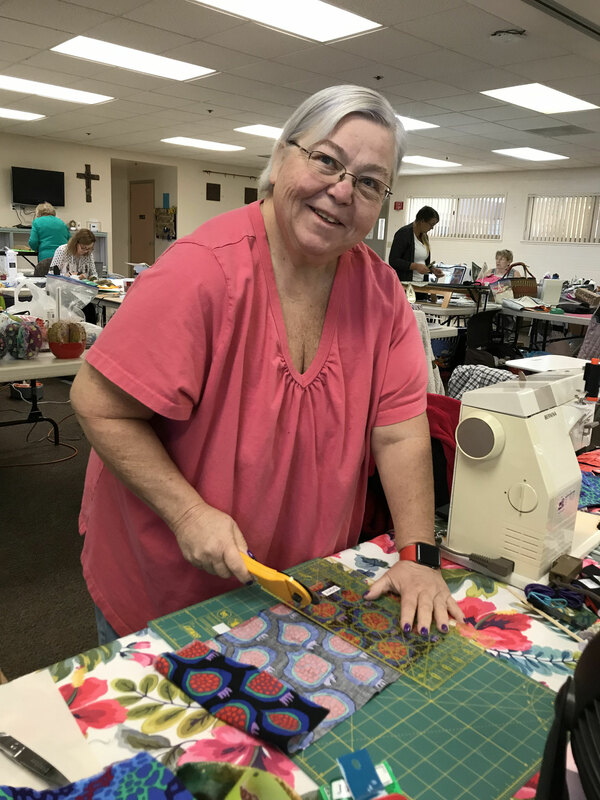 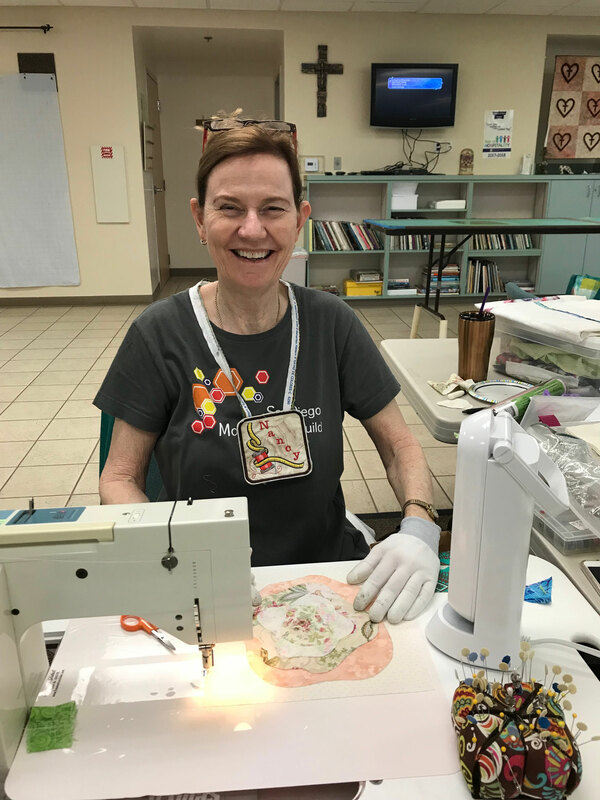 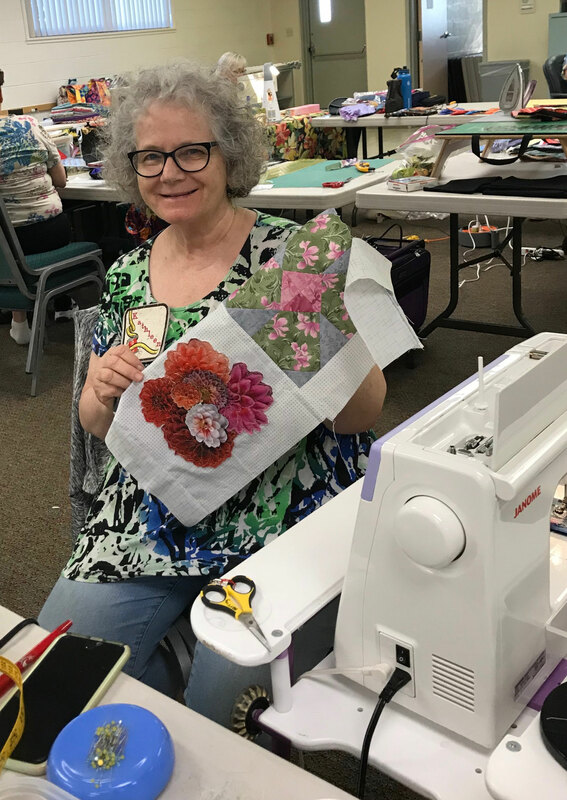 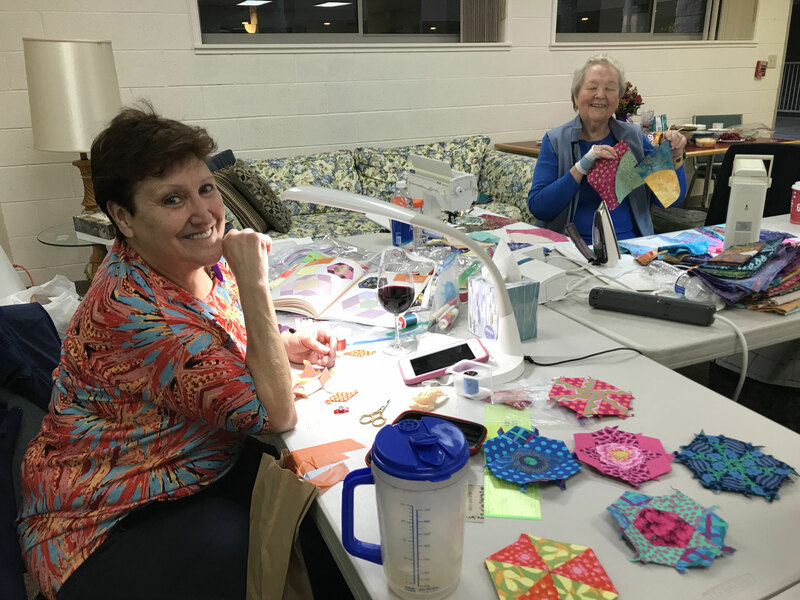 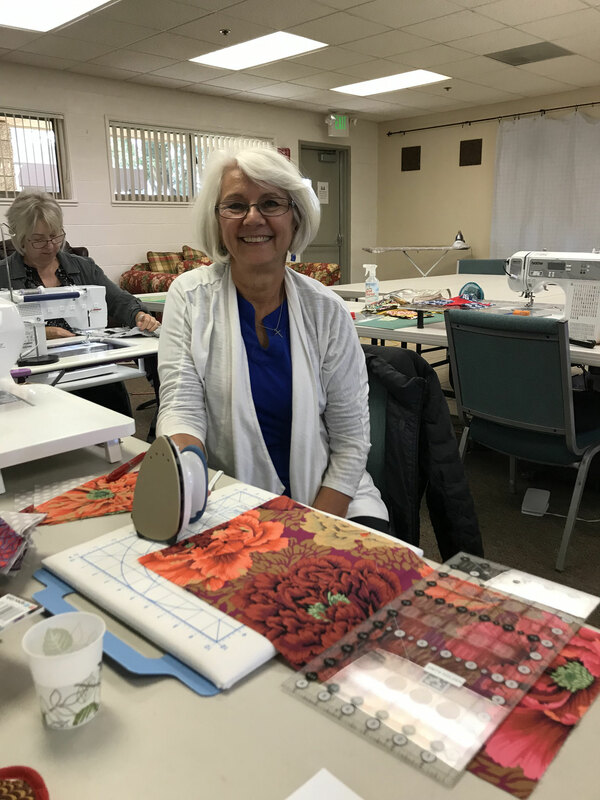 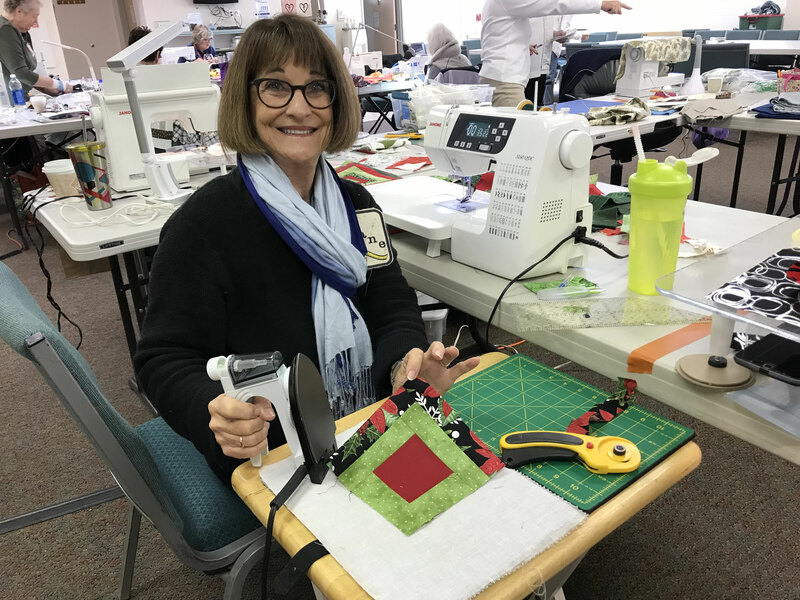 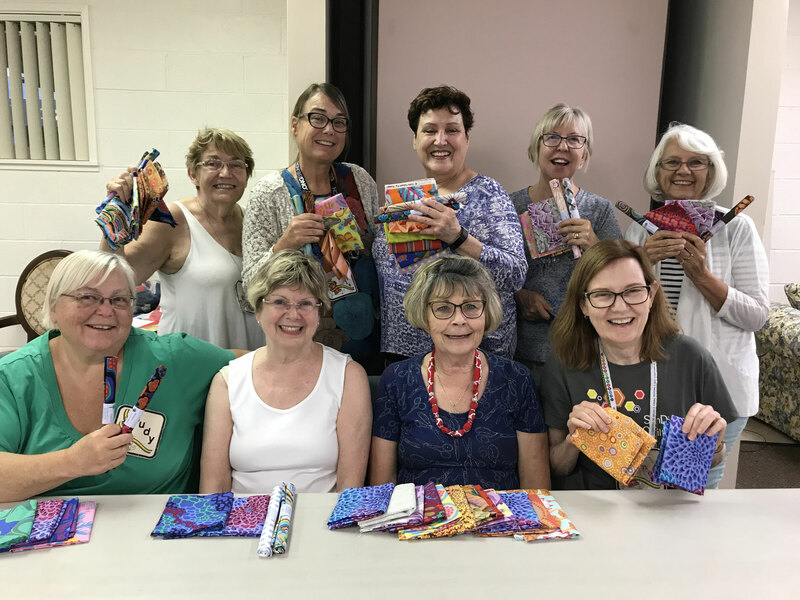 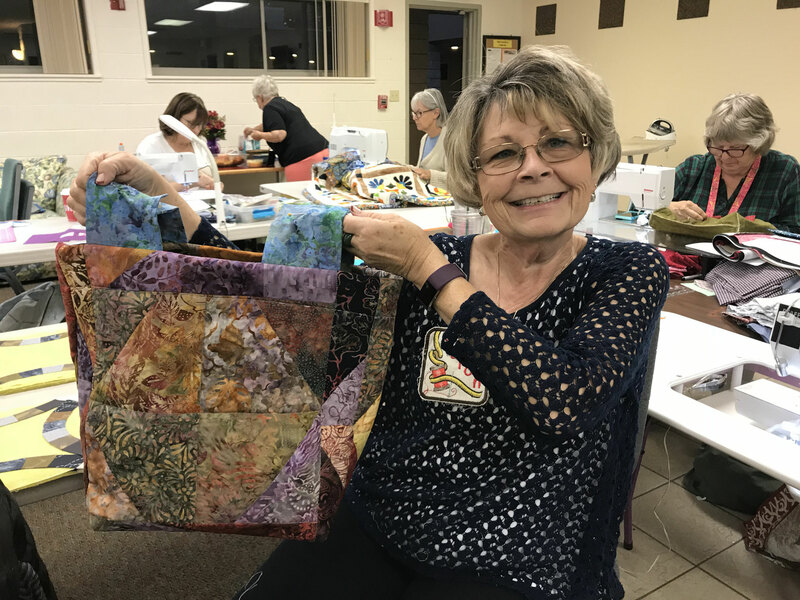 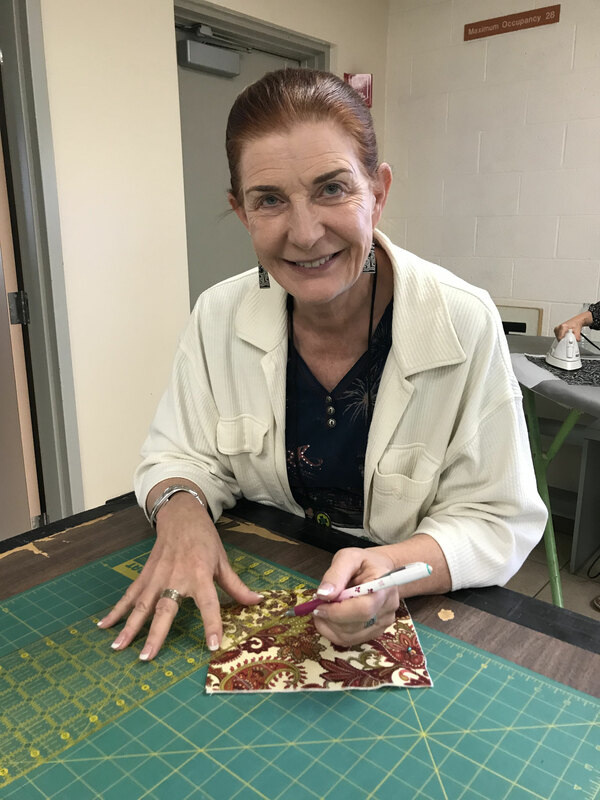 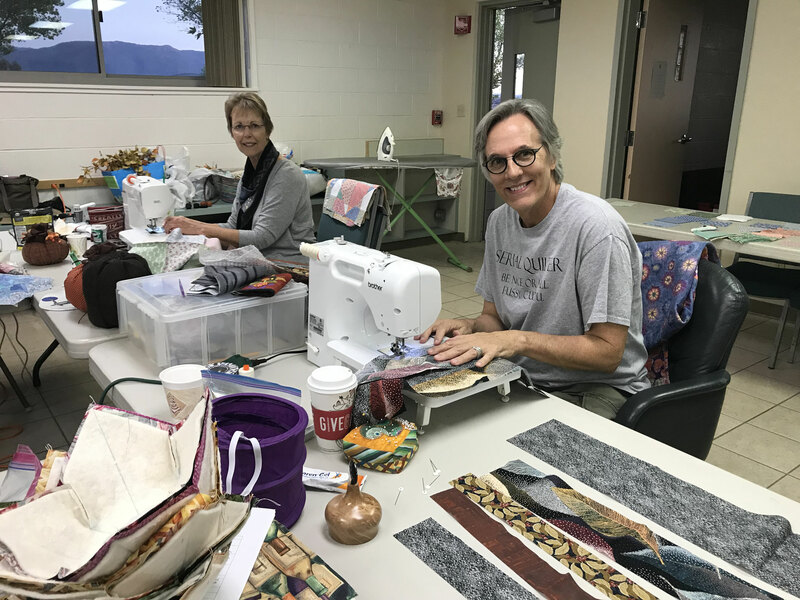 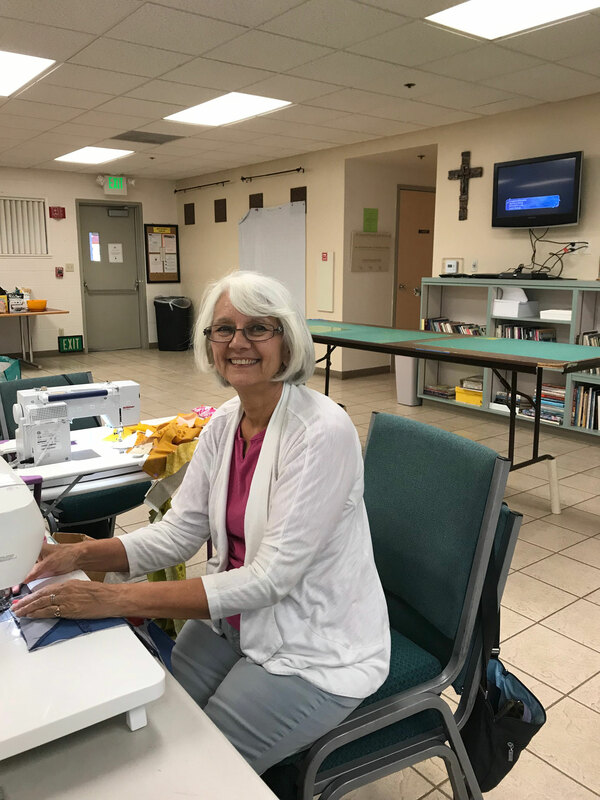 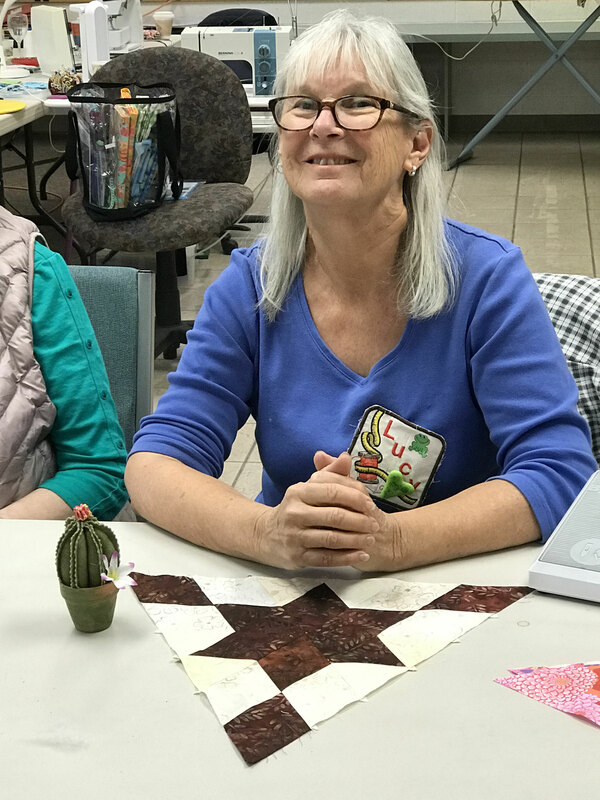 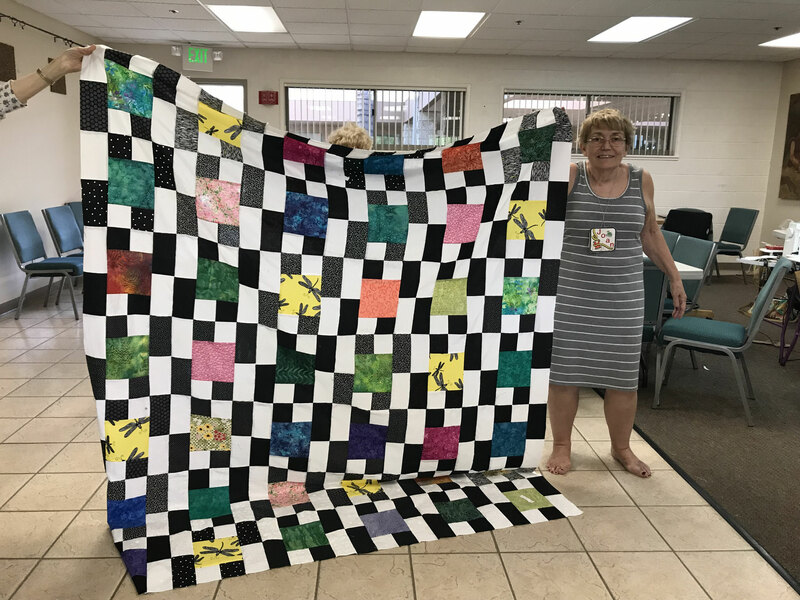 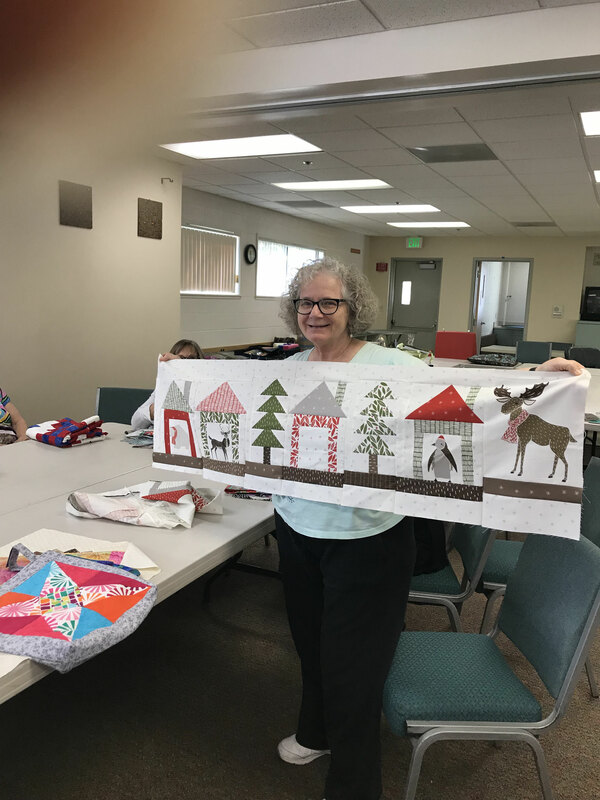 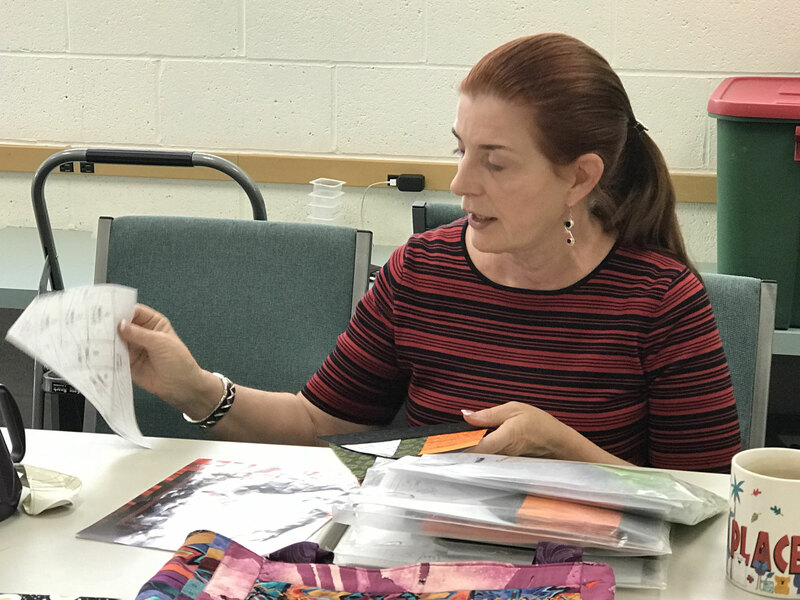 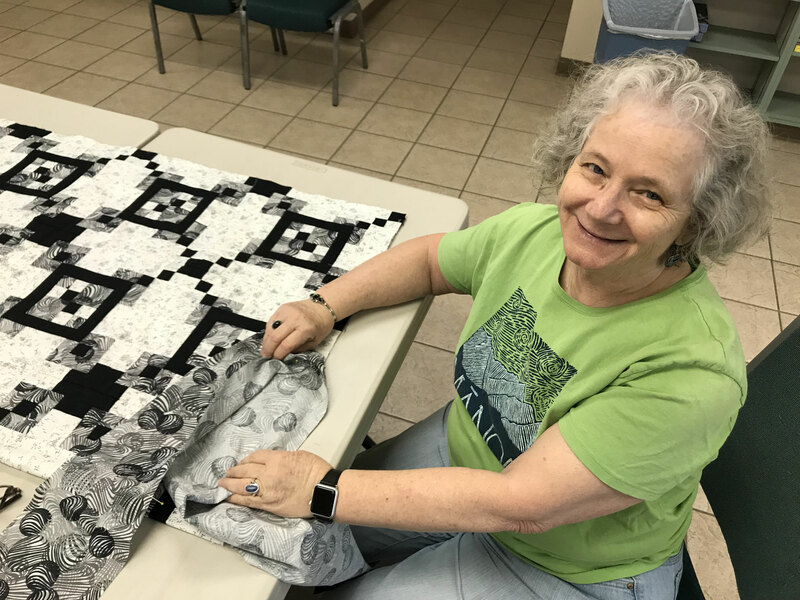 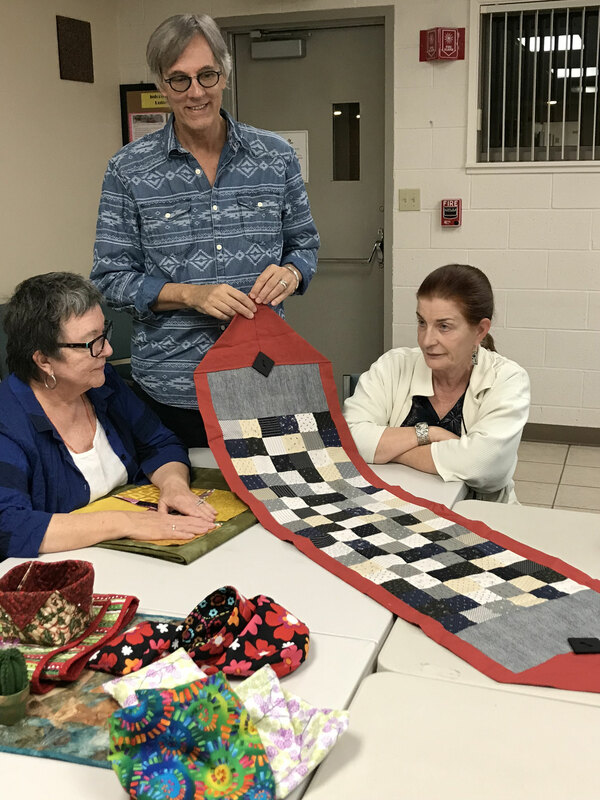 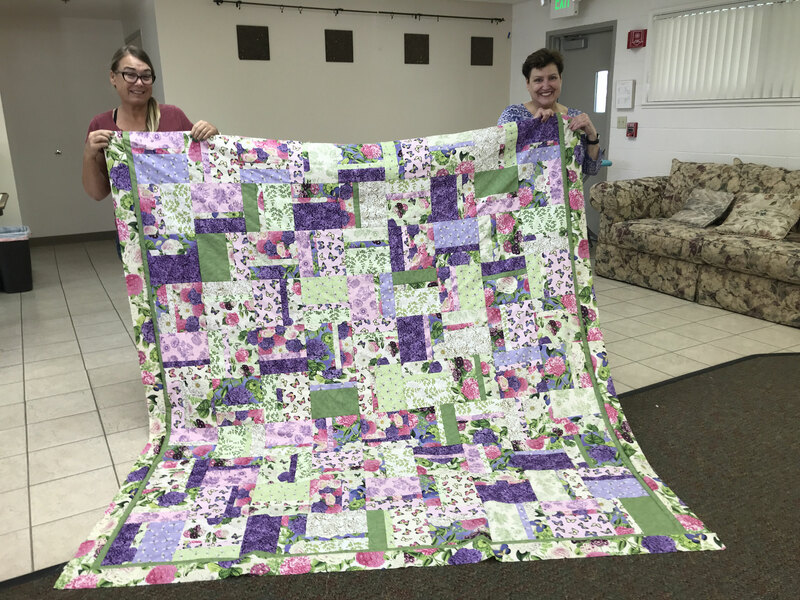 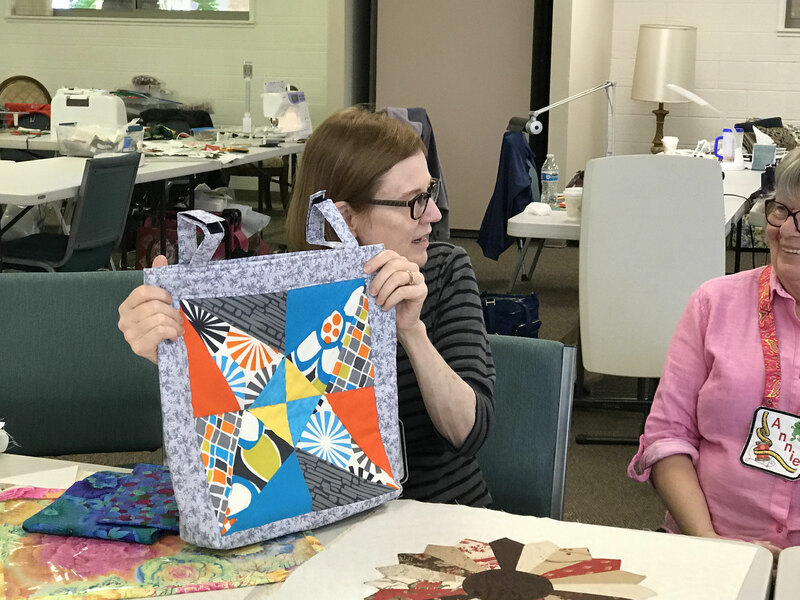 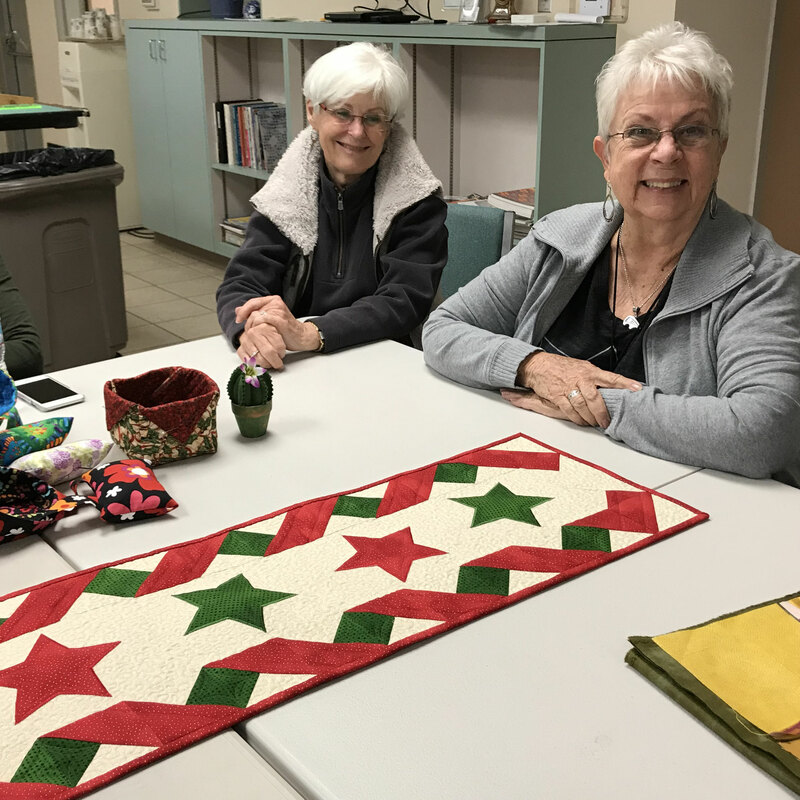 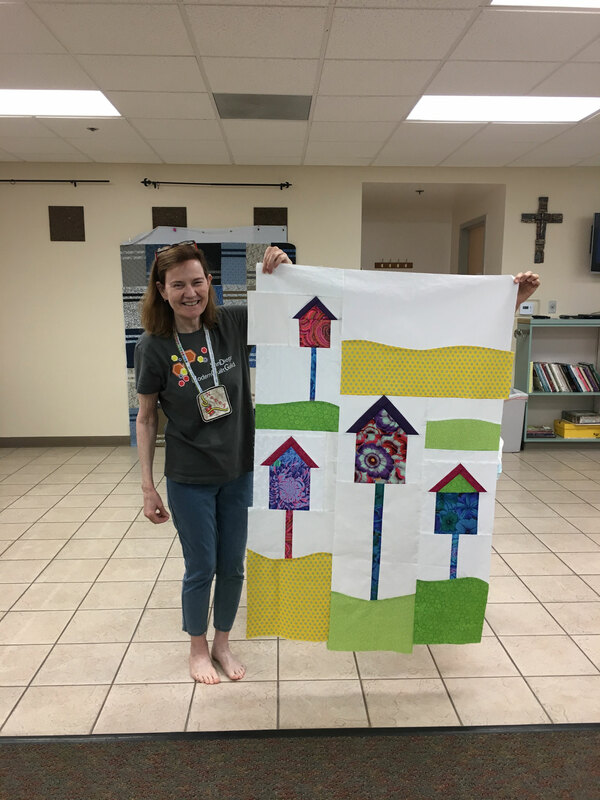 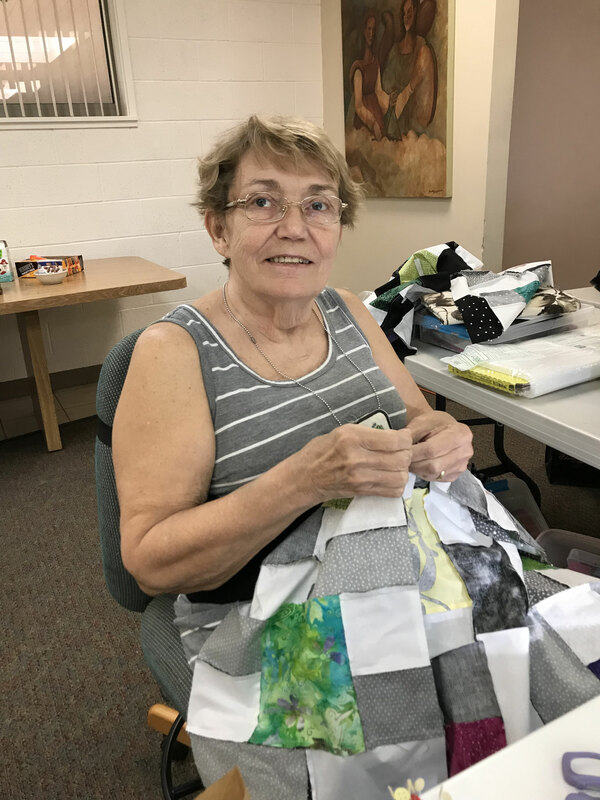 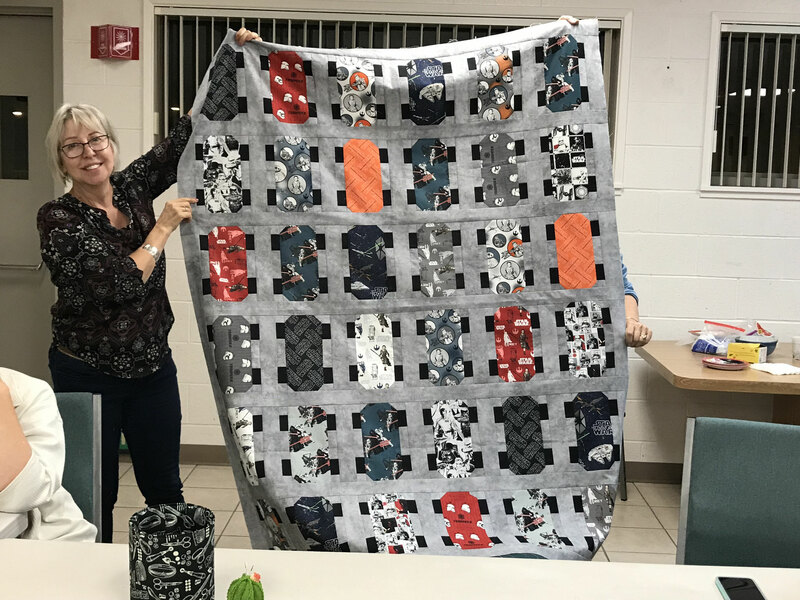 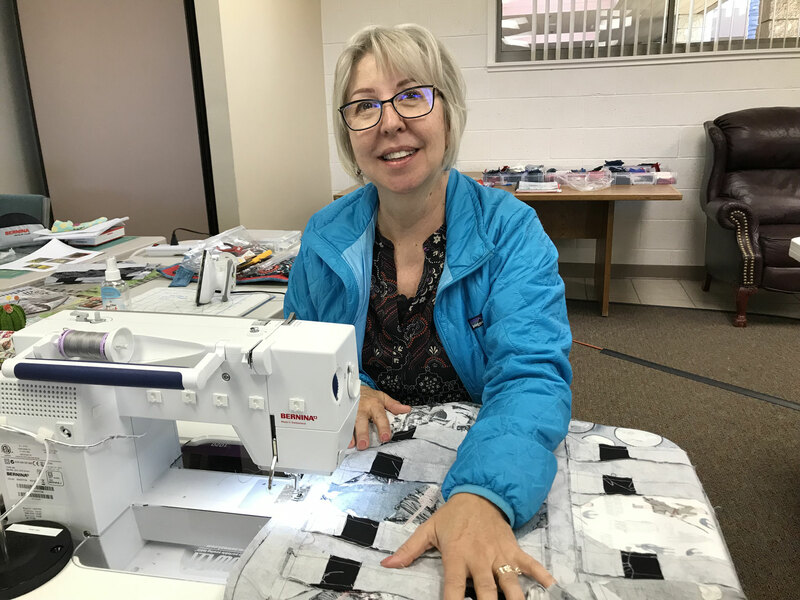 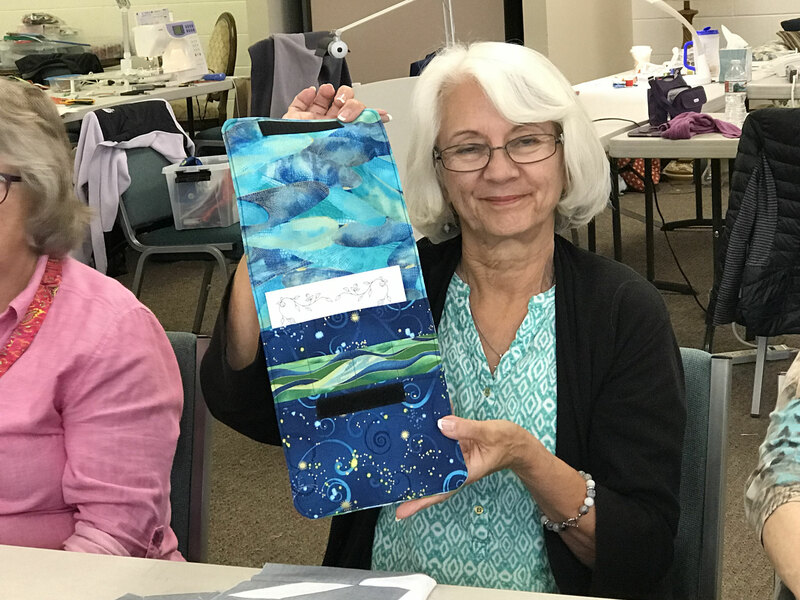 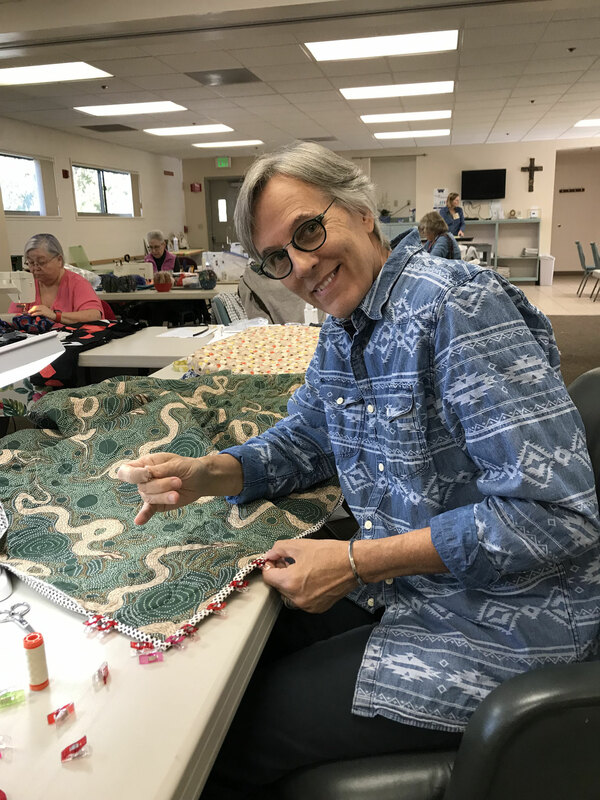 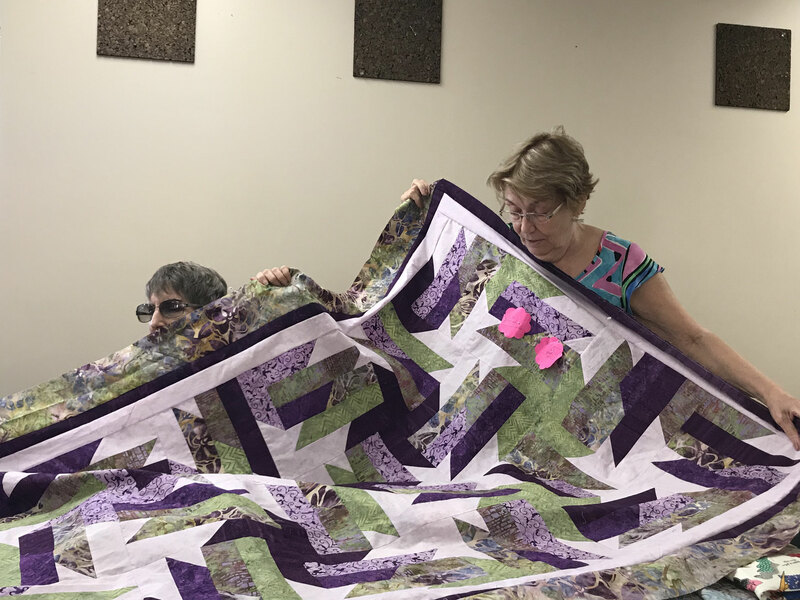 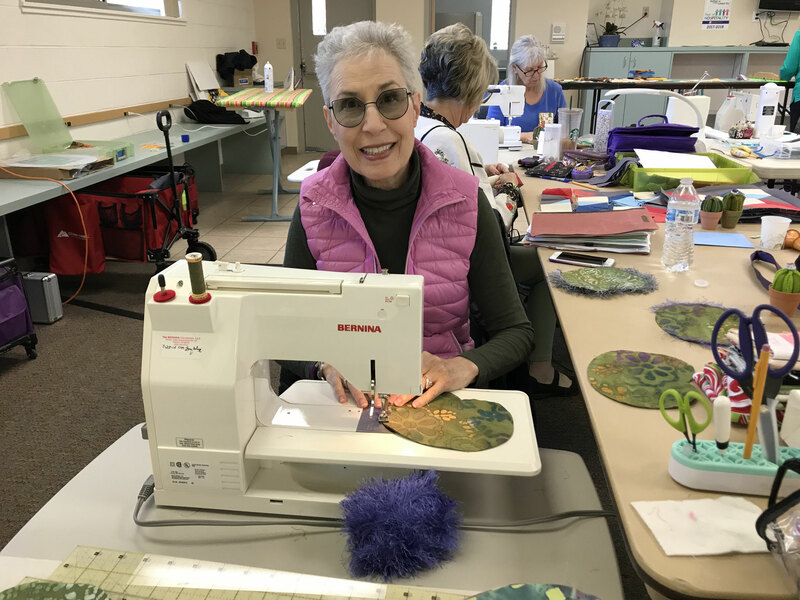 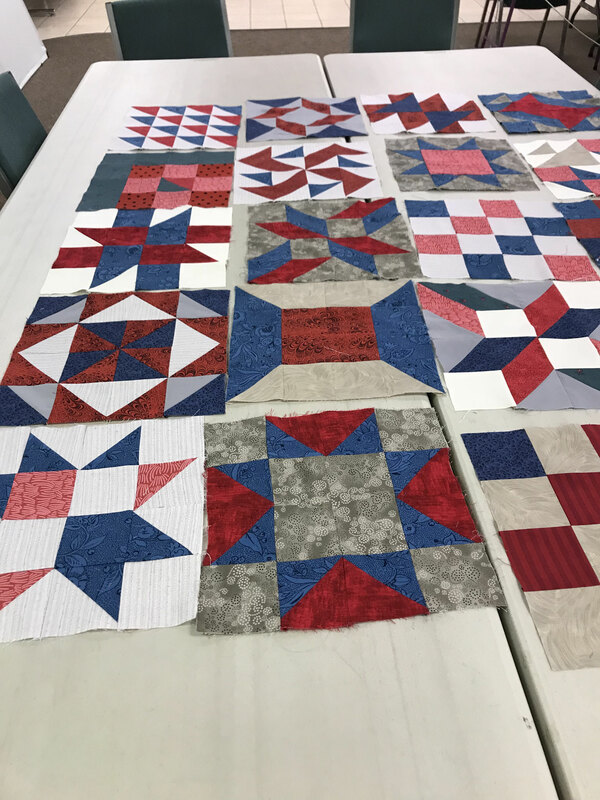 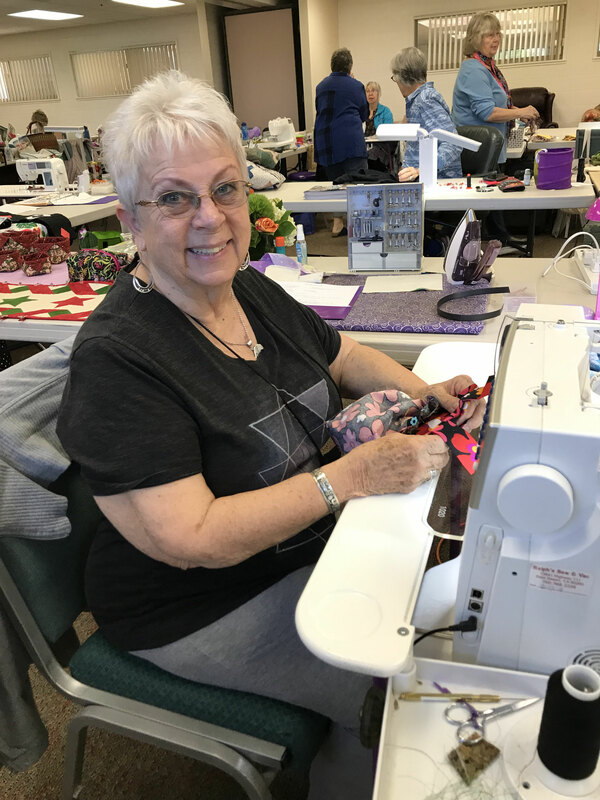 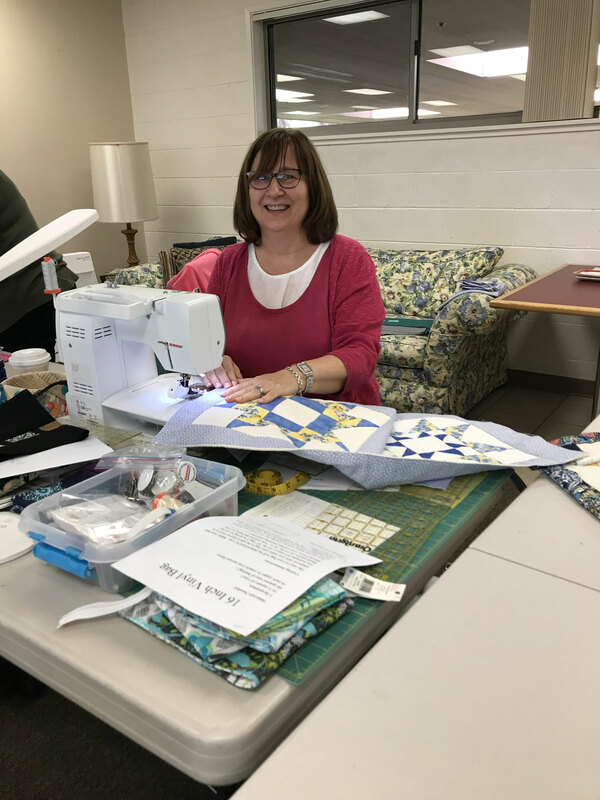 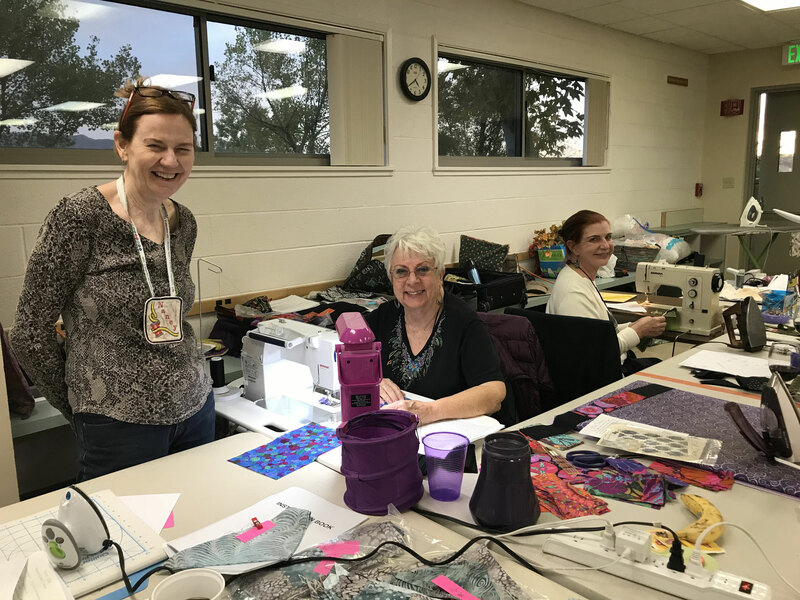 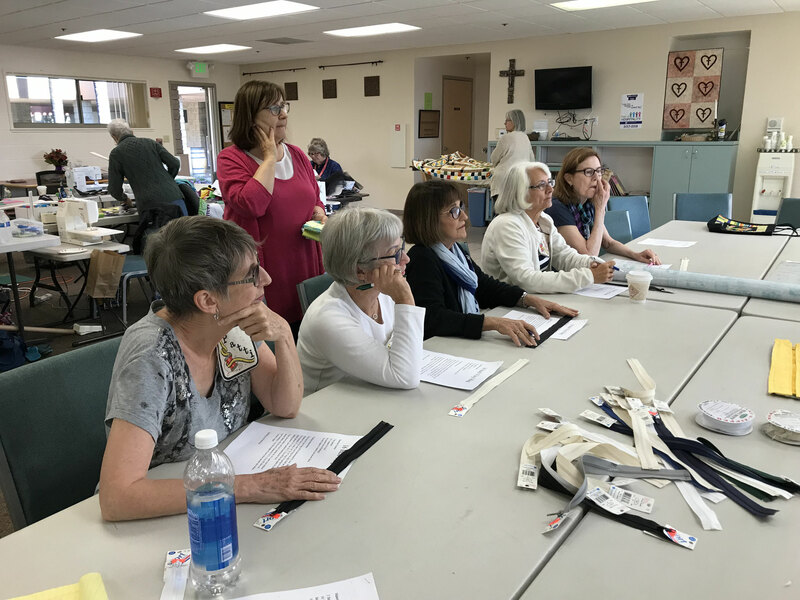 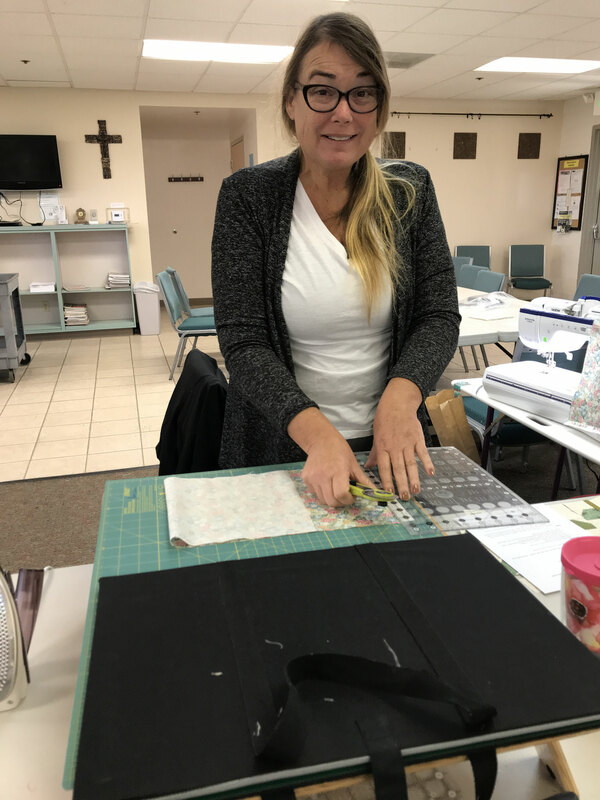 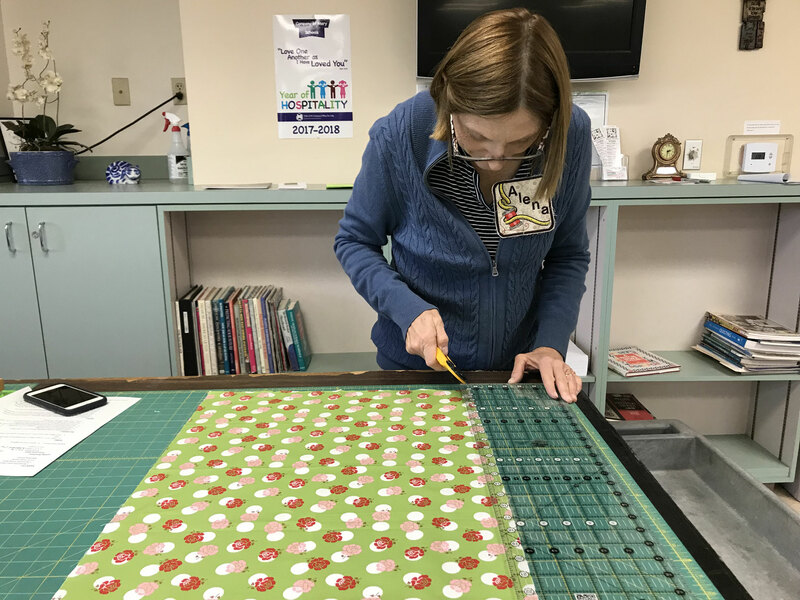 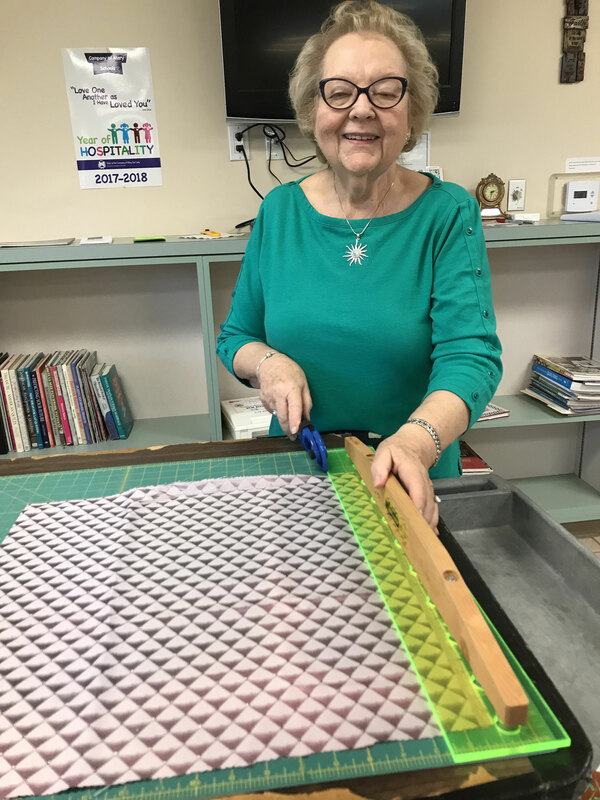 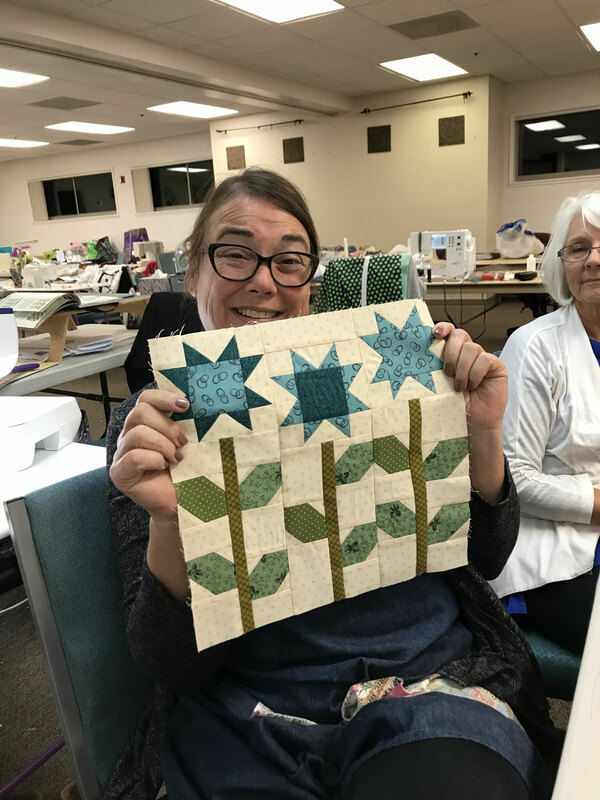 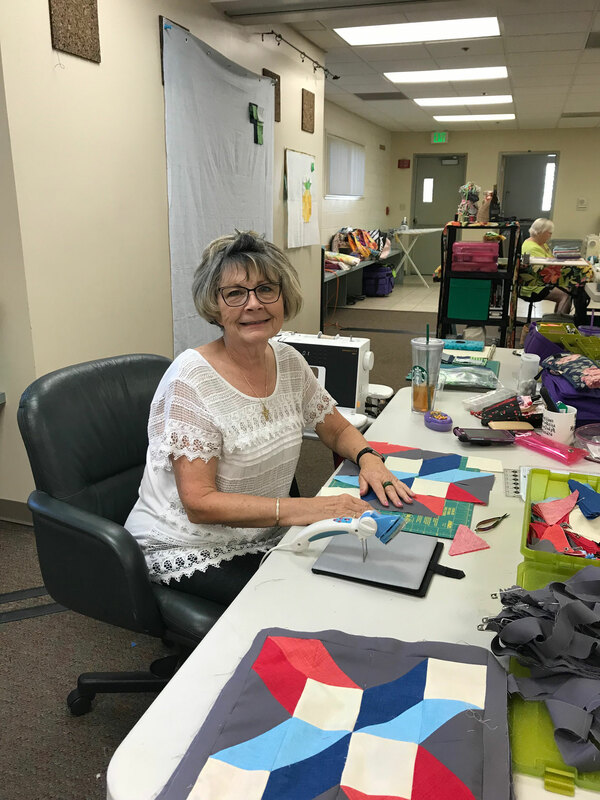 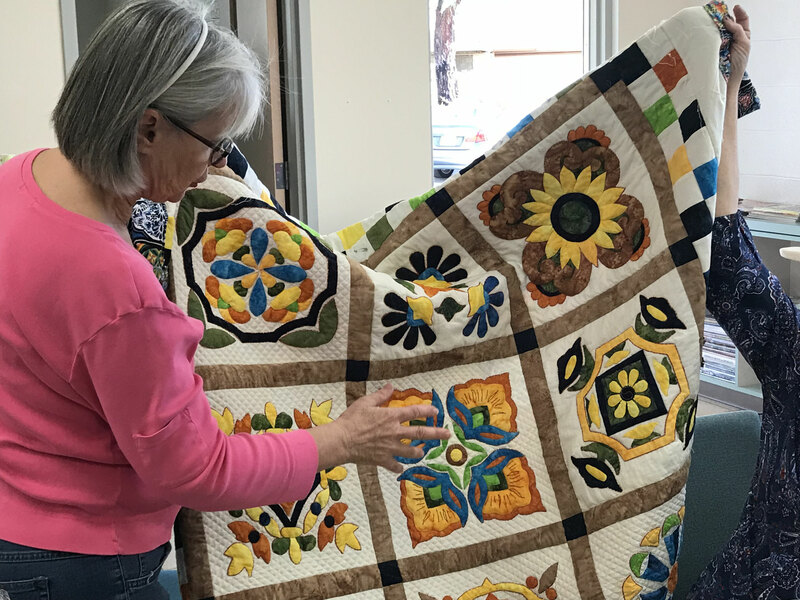 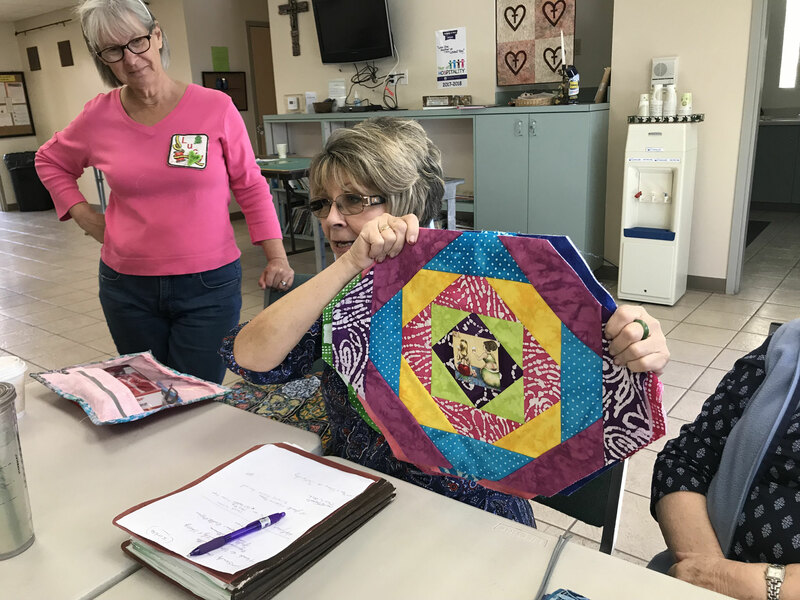 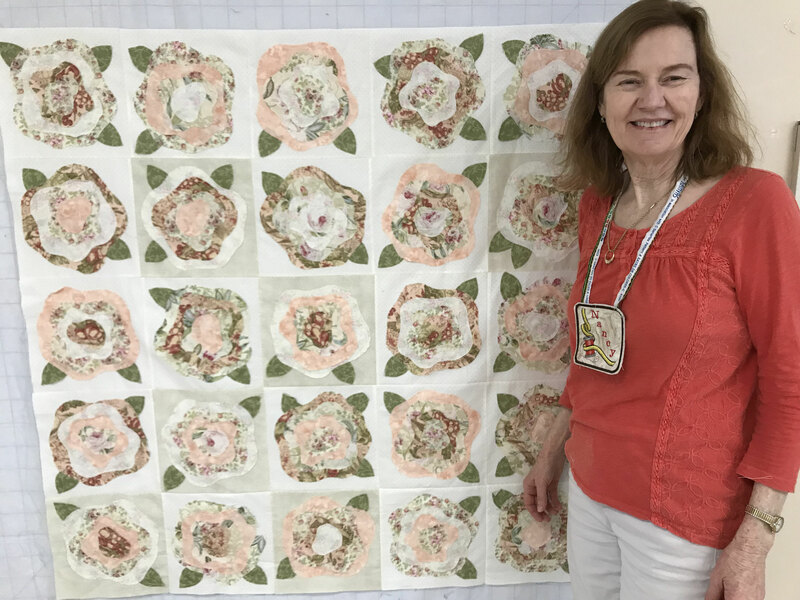 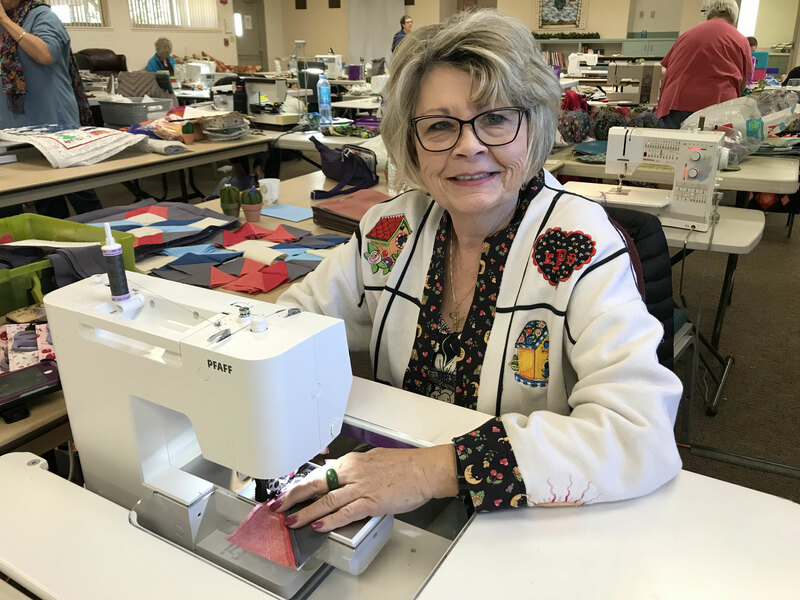 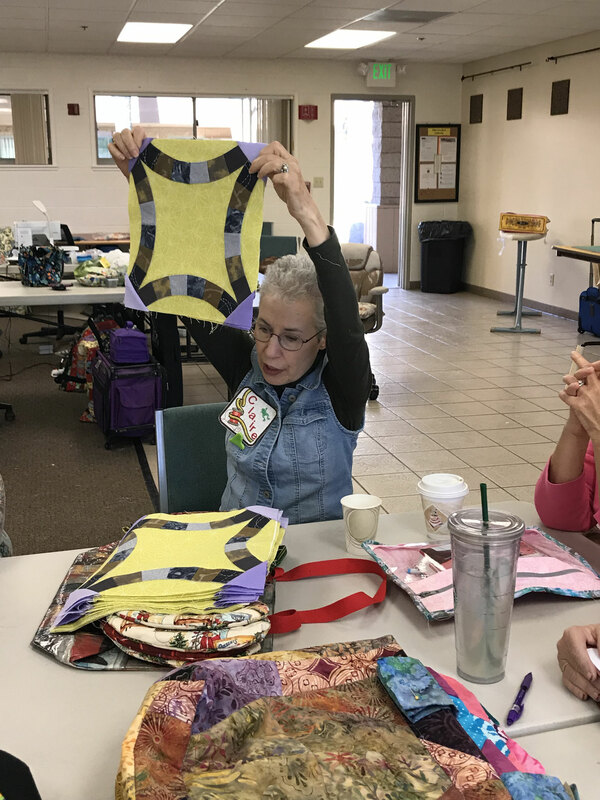 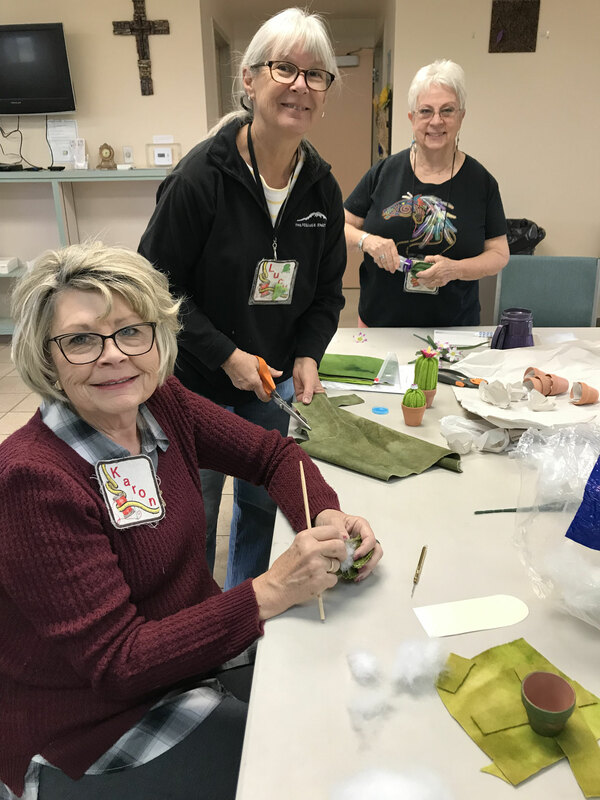 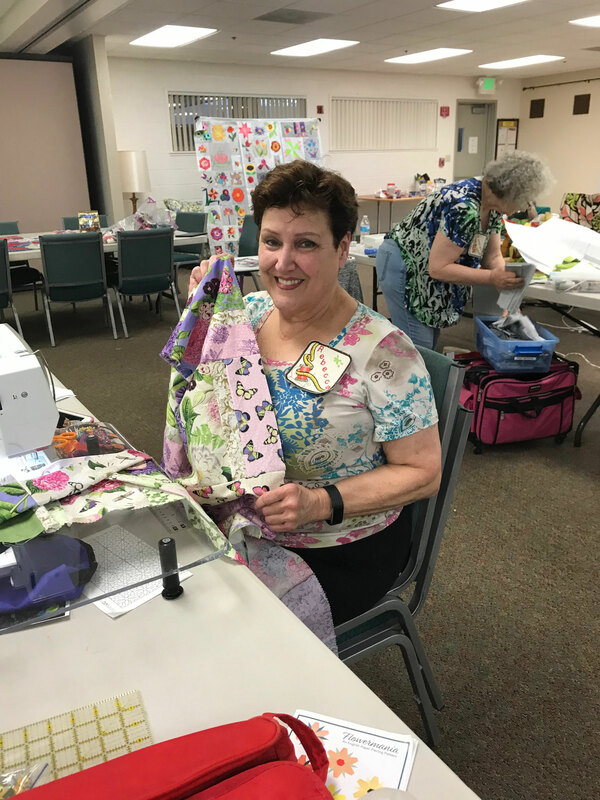 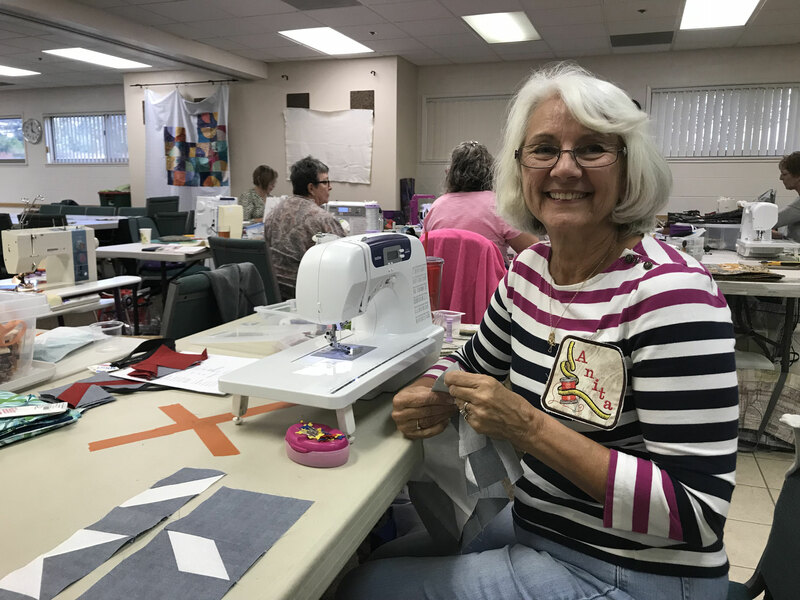 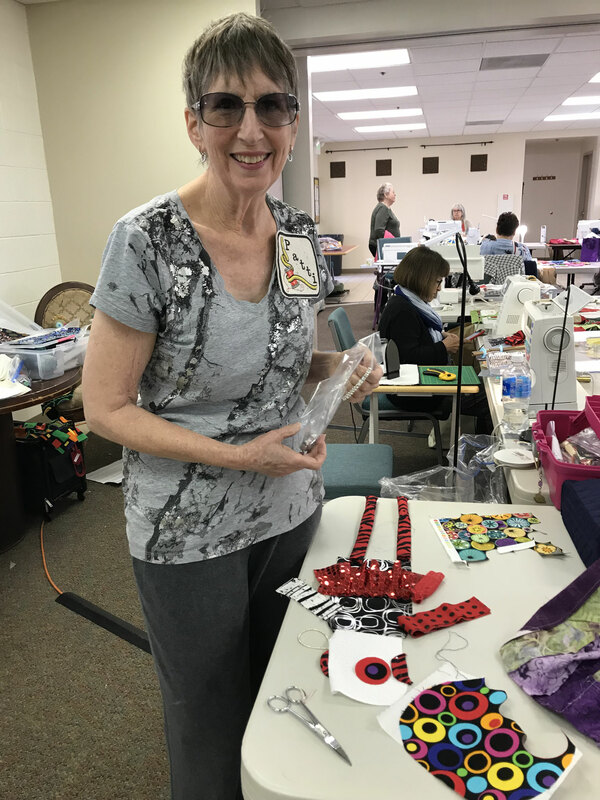 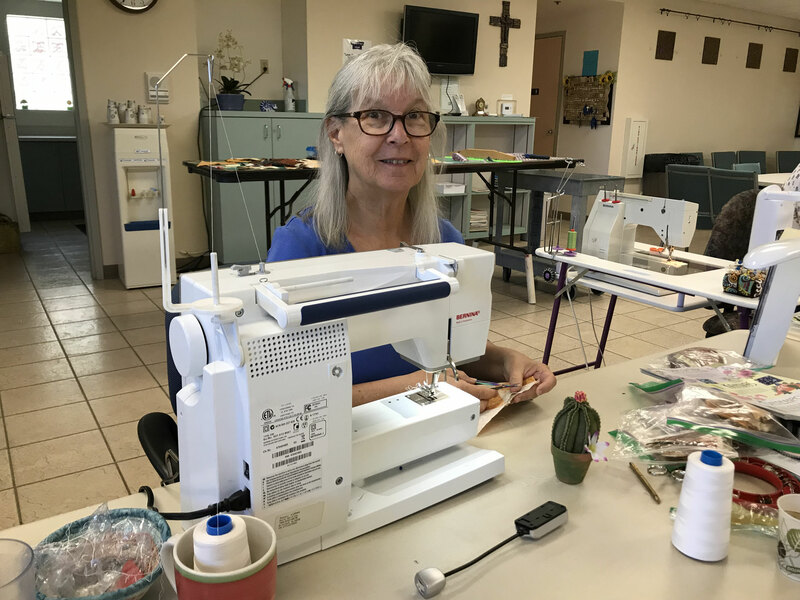 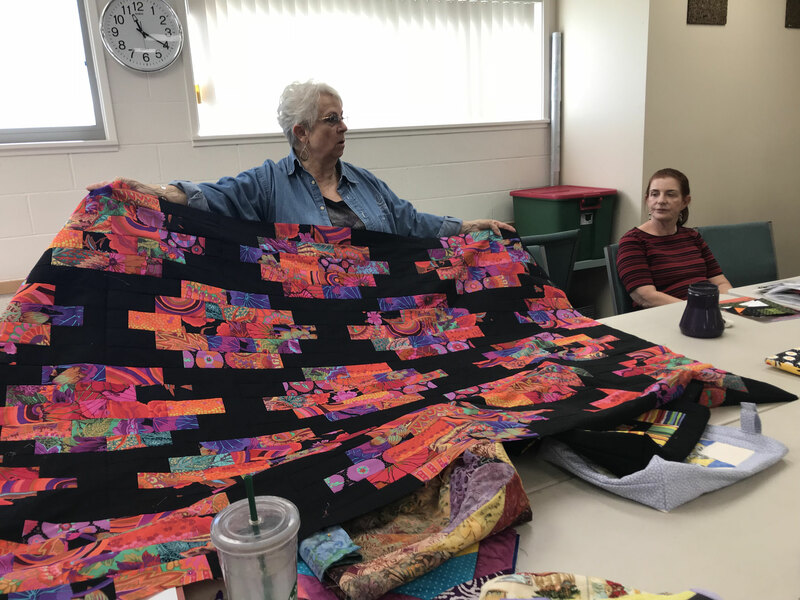 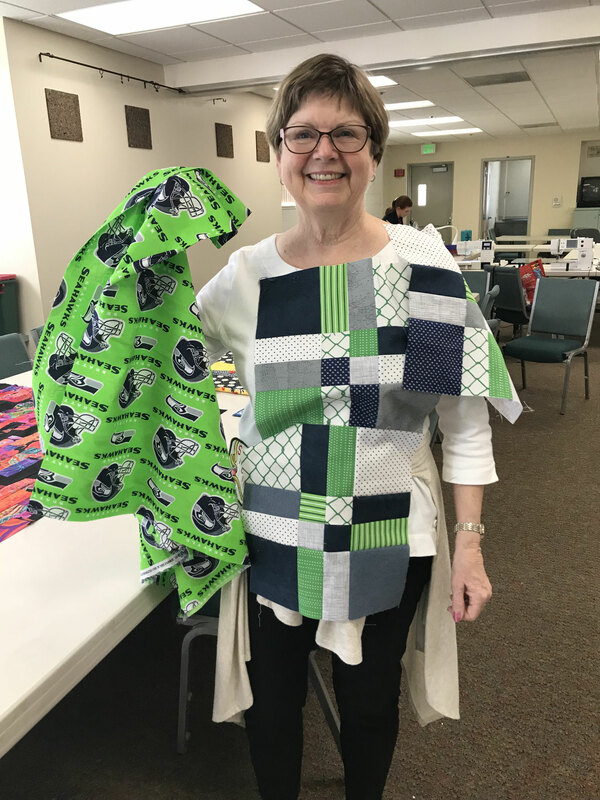 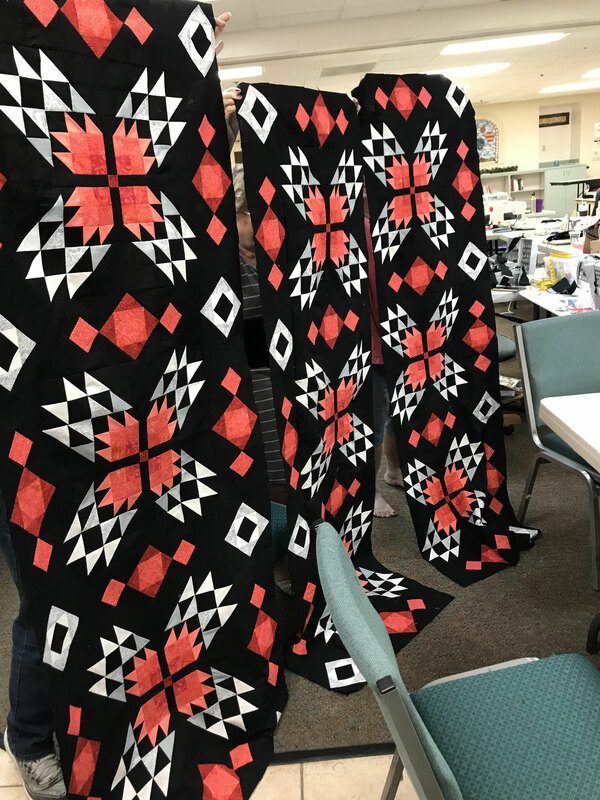 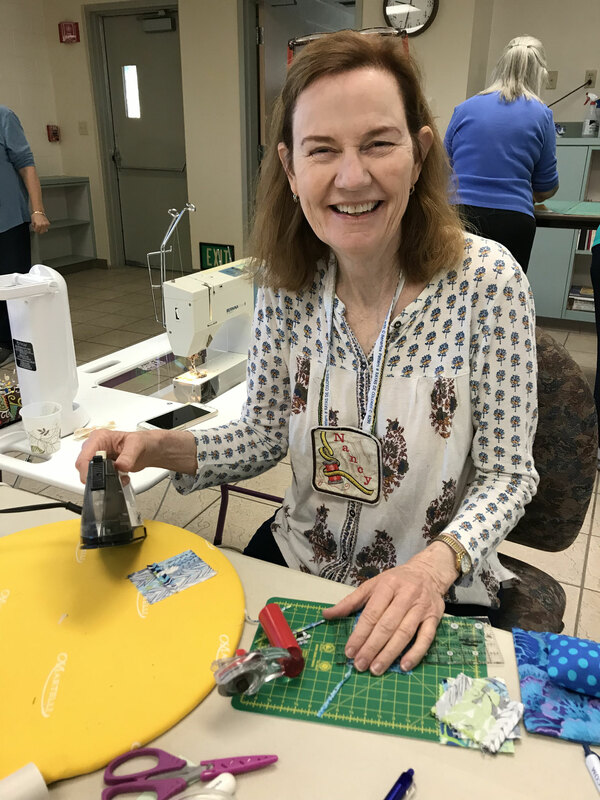 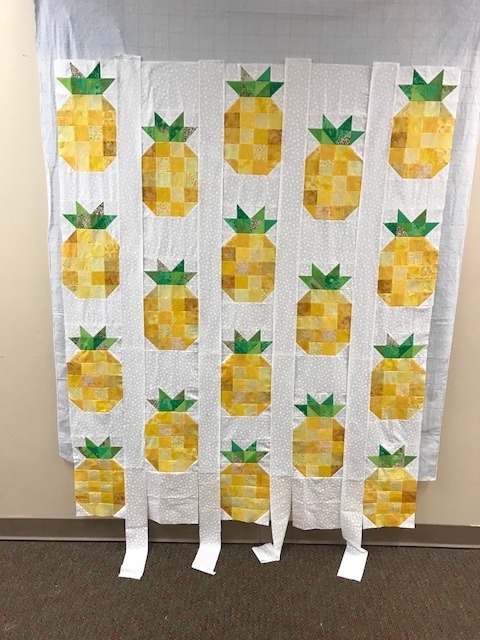 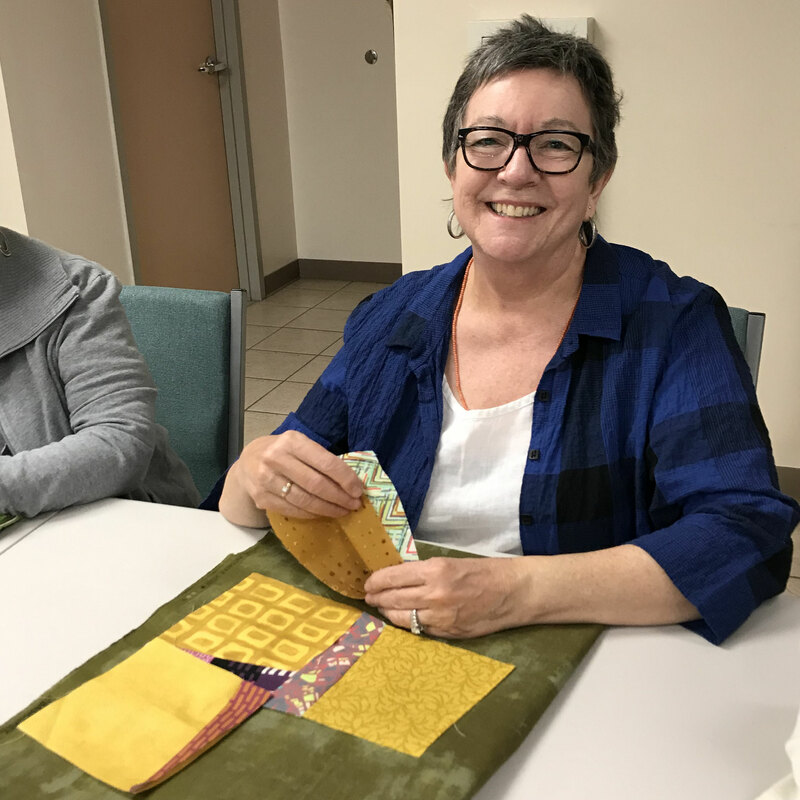 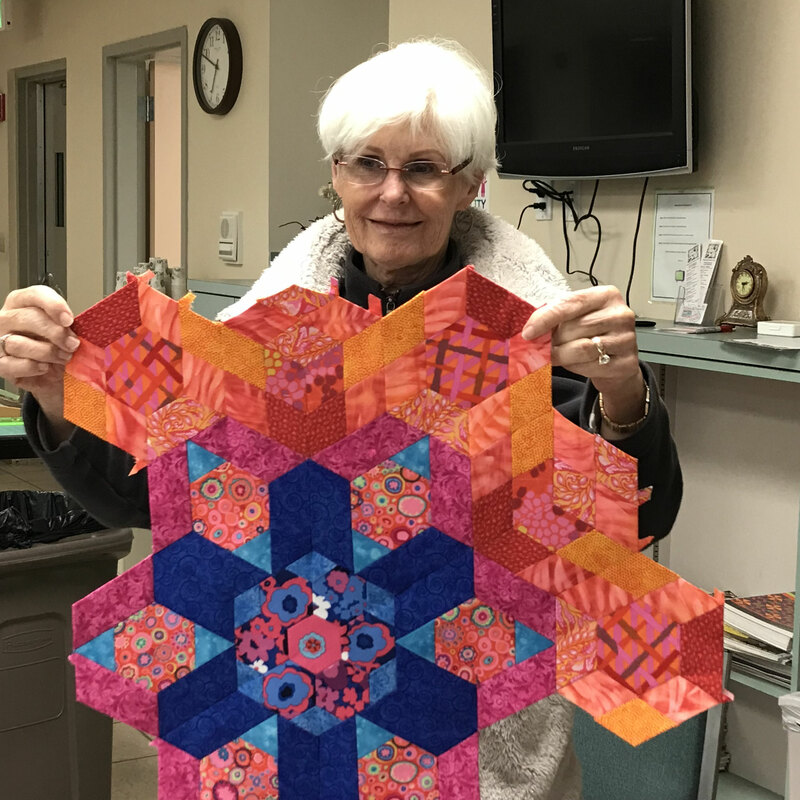 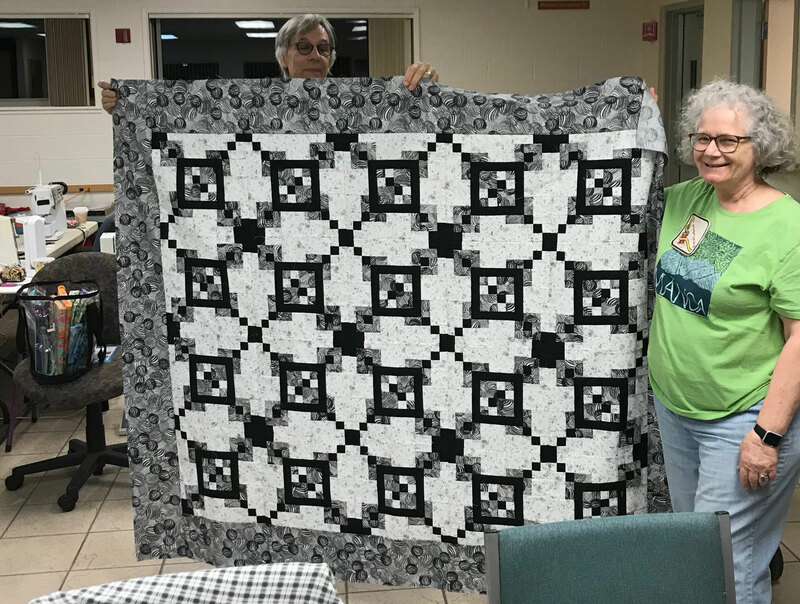 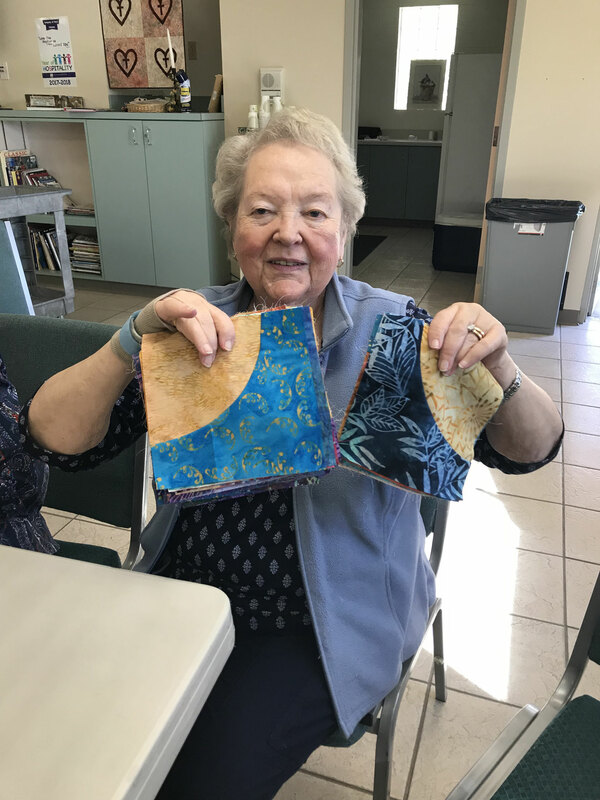 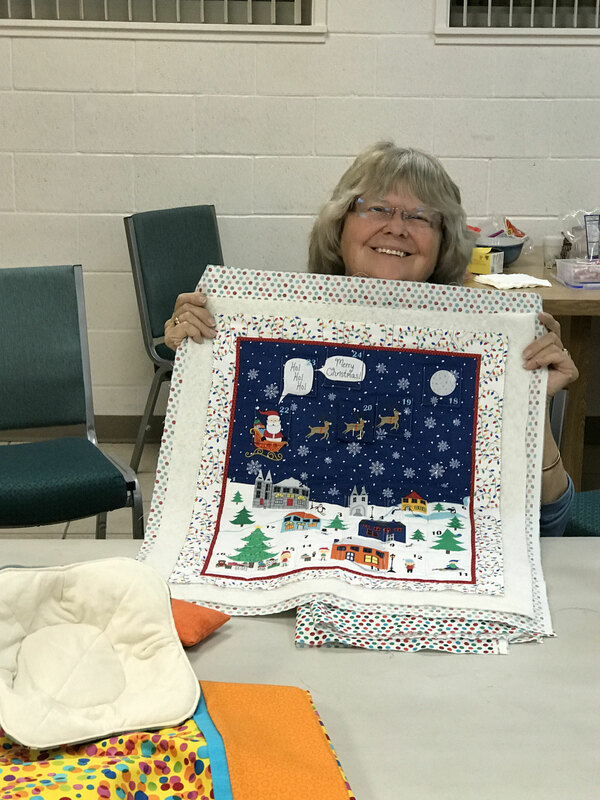 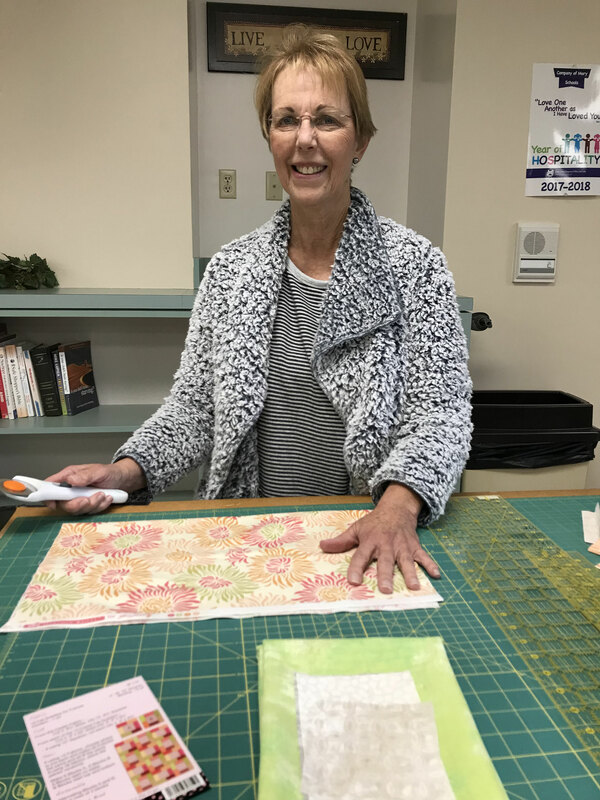 The Coachella Valley Quilt Guild has an annual retreat in November at the Vina de Lestonnac Convent in Temecula. 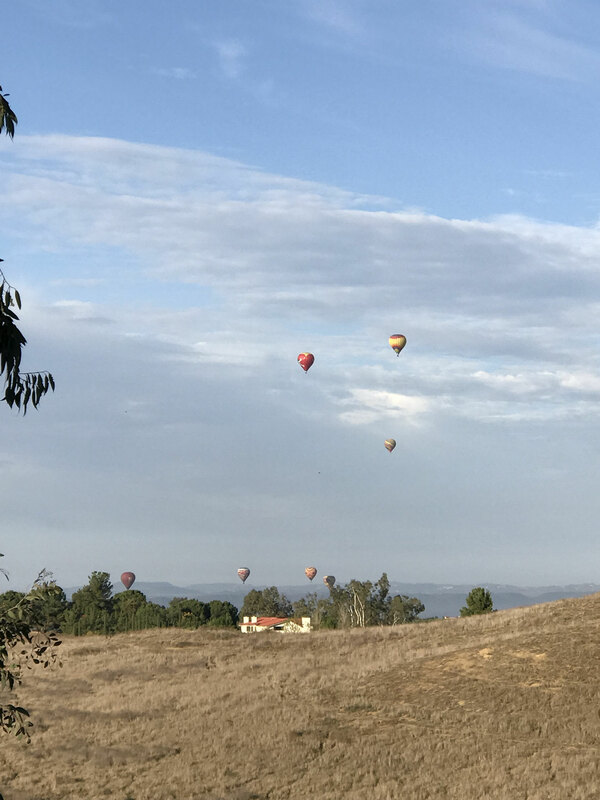 The retreat center there has a wonderful view across the valleys filled with vineyards and there are even hot air balloons to decorate the still morning skies. 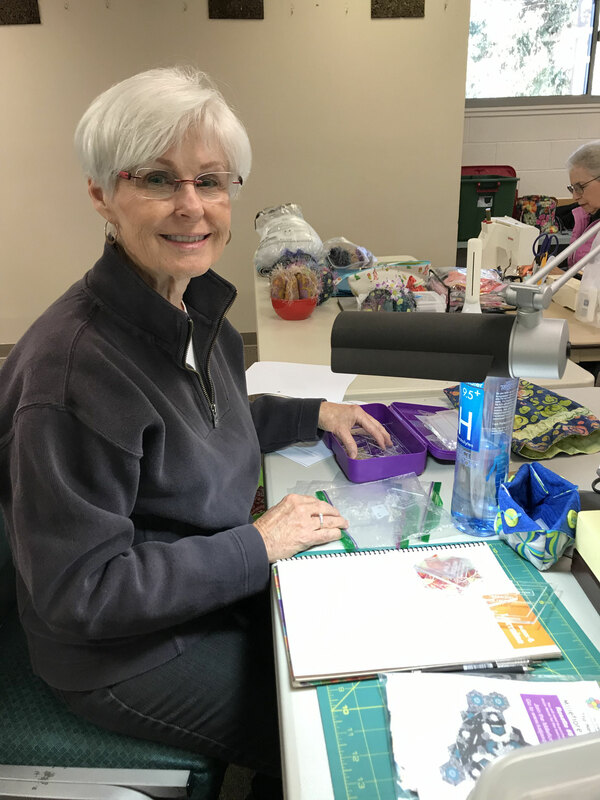 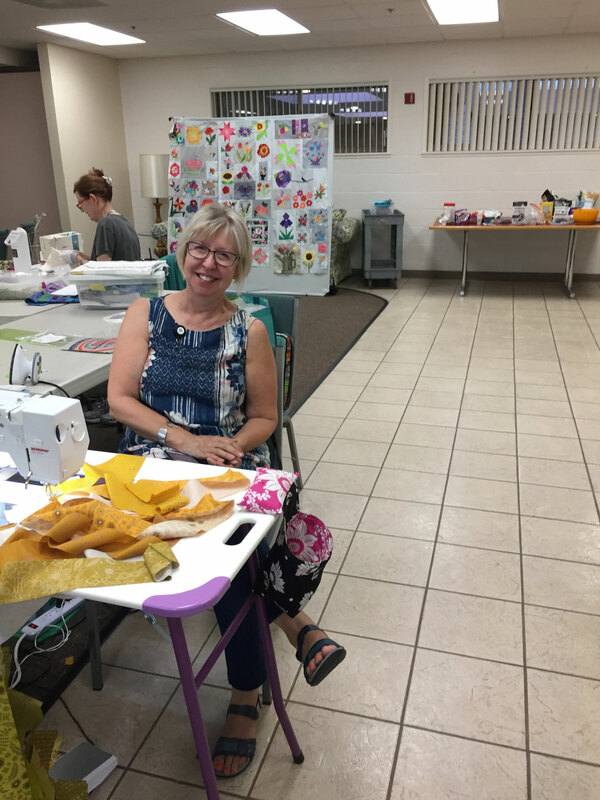 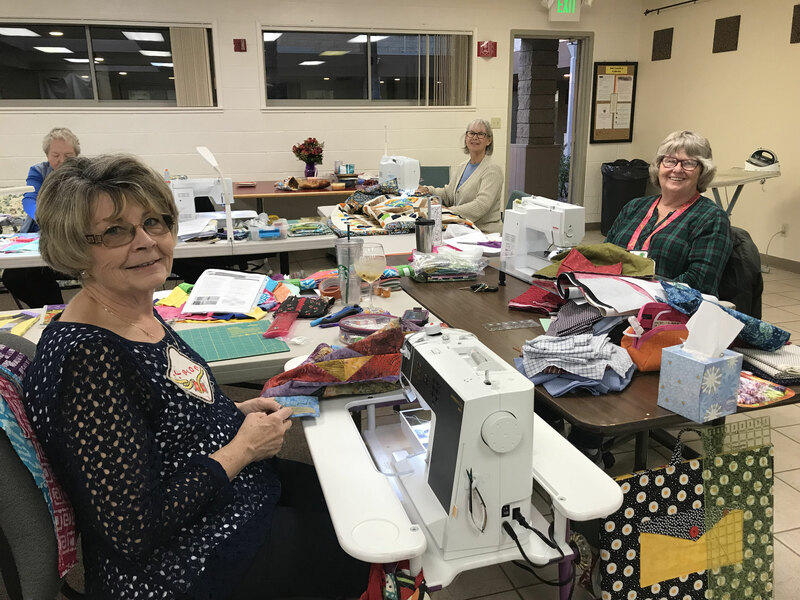 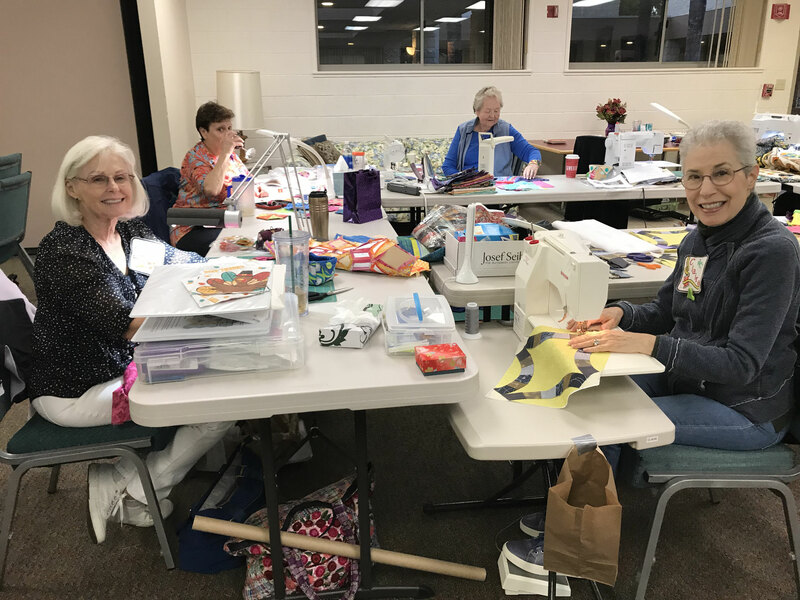 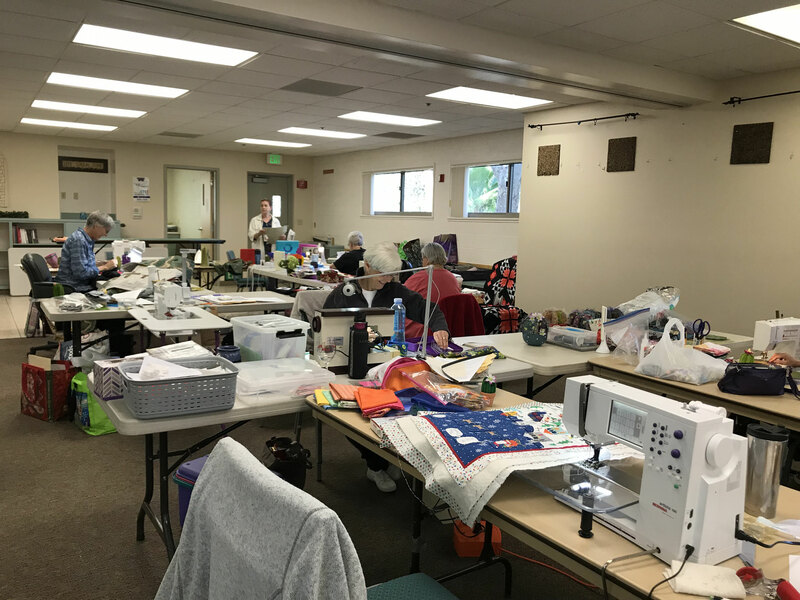 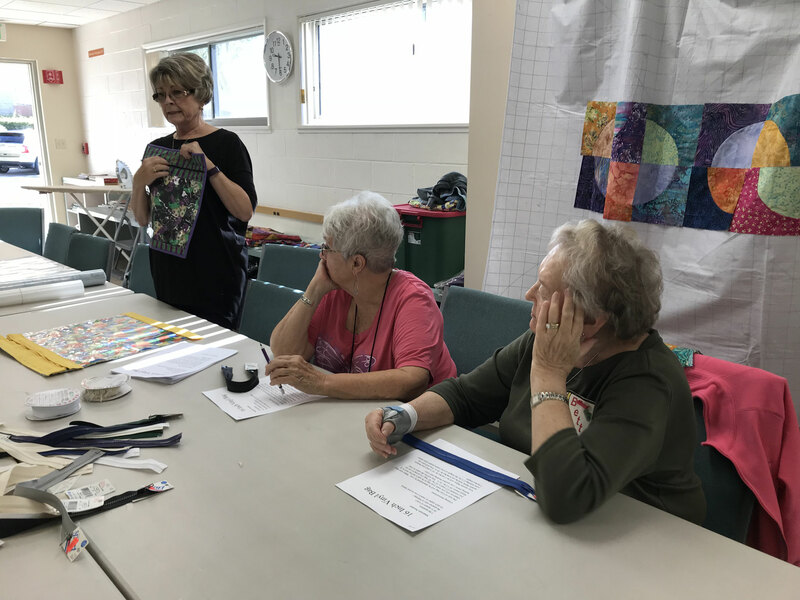 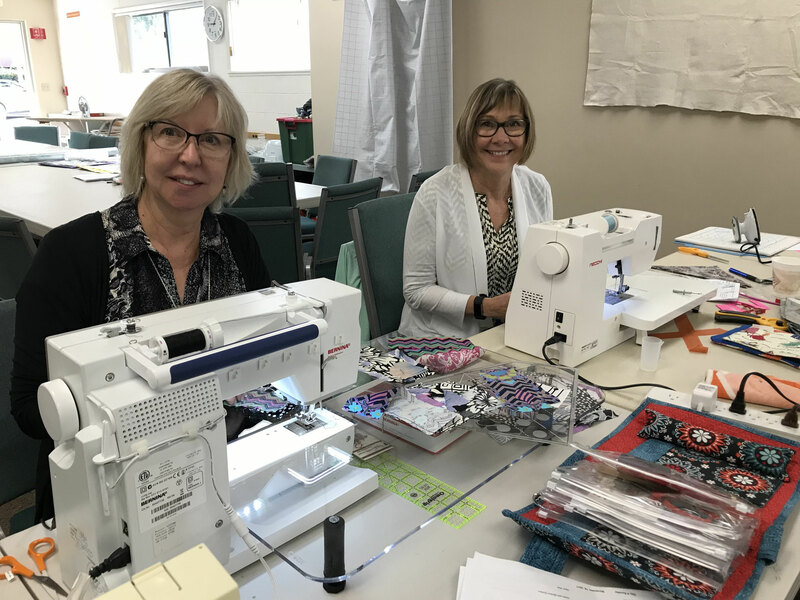 Lots of sewing (and socializing) takes place in the large classroom along with games and trips to the local quilt shops. 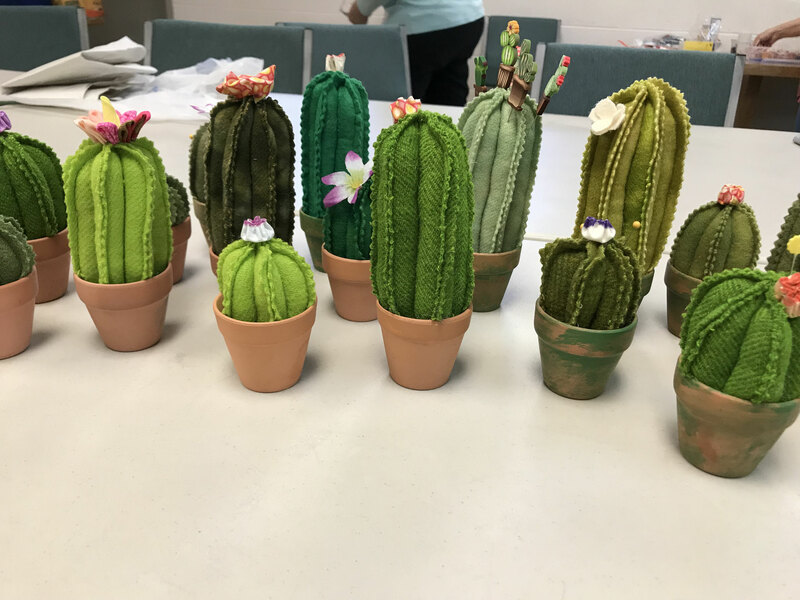 (There are three close by.) 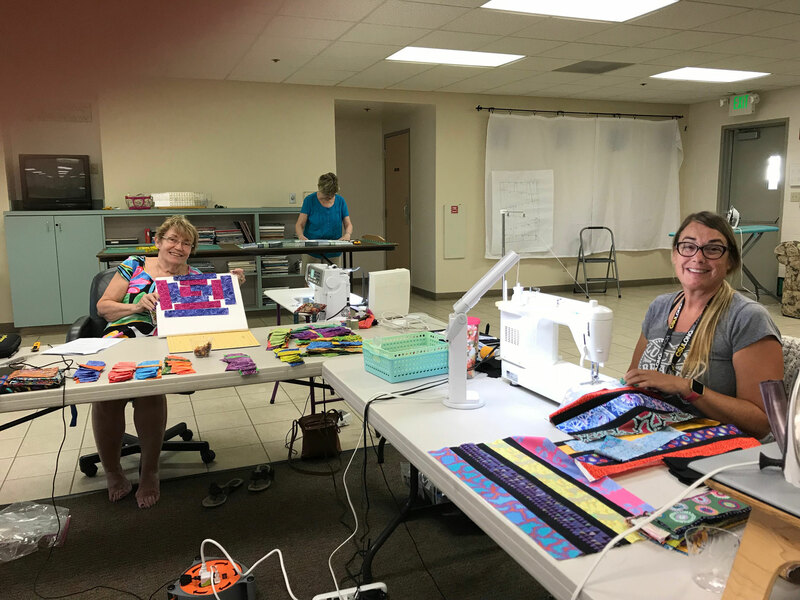 Here are pictures from our 2017 retreat.